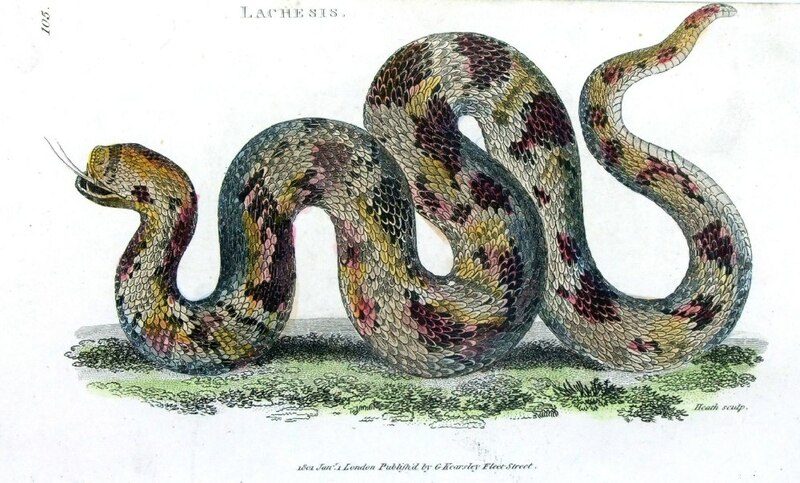 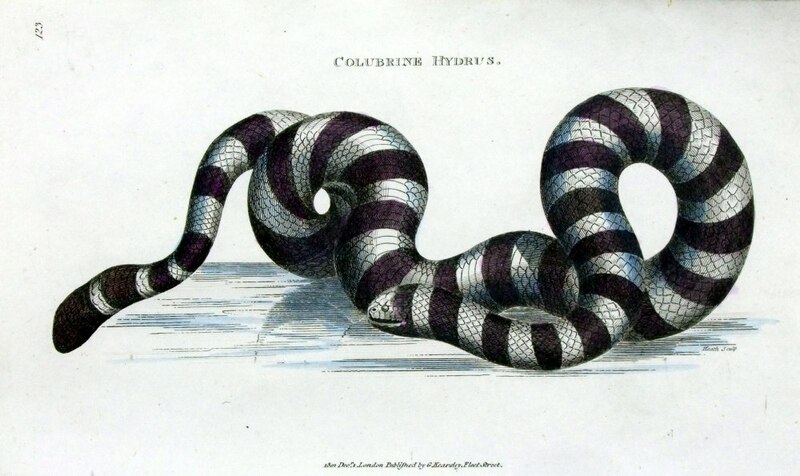 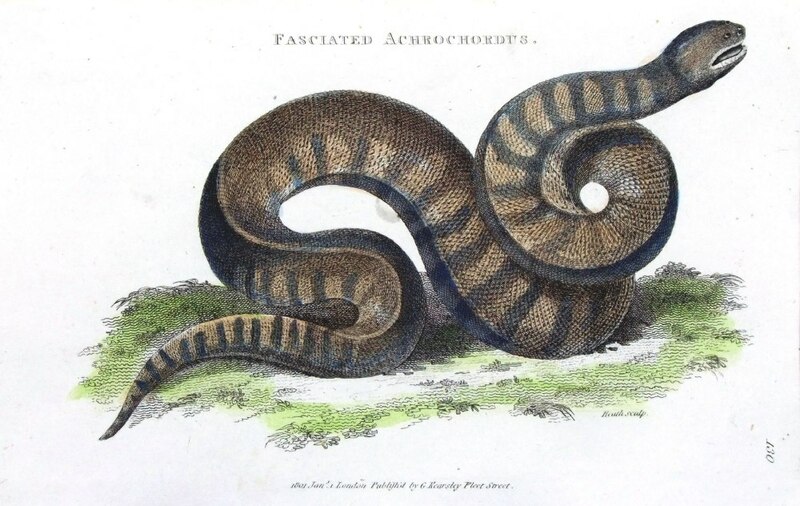 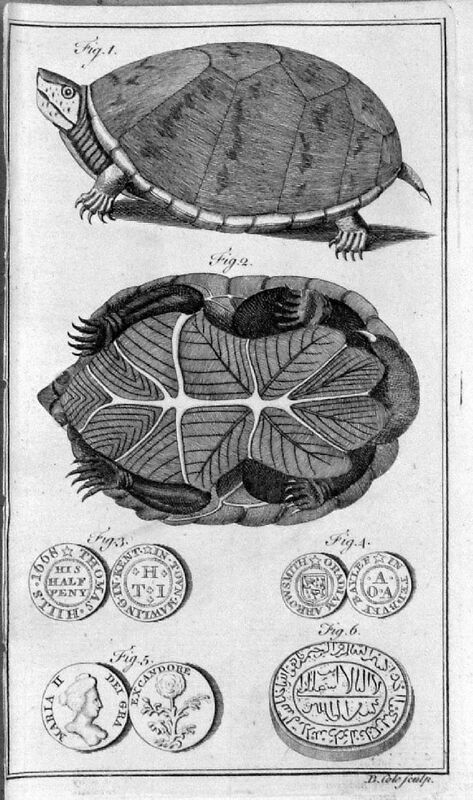 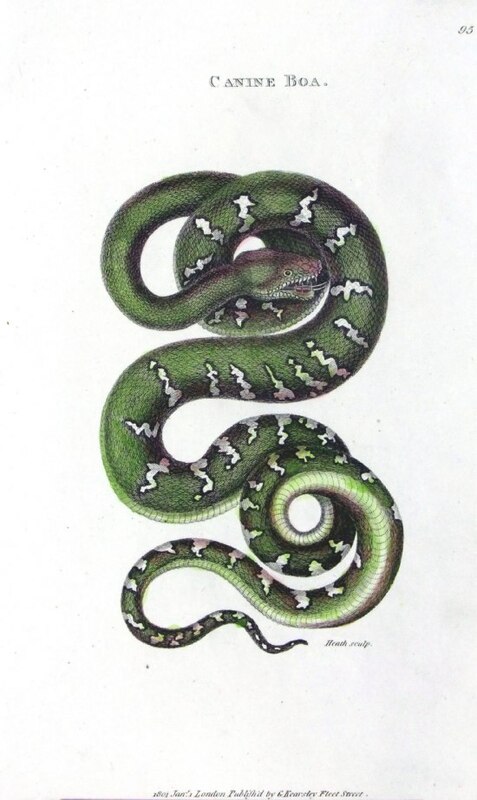 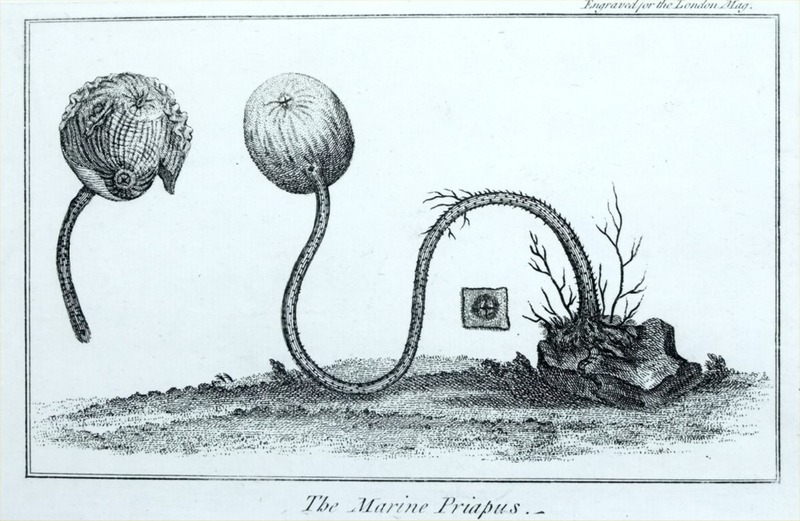 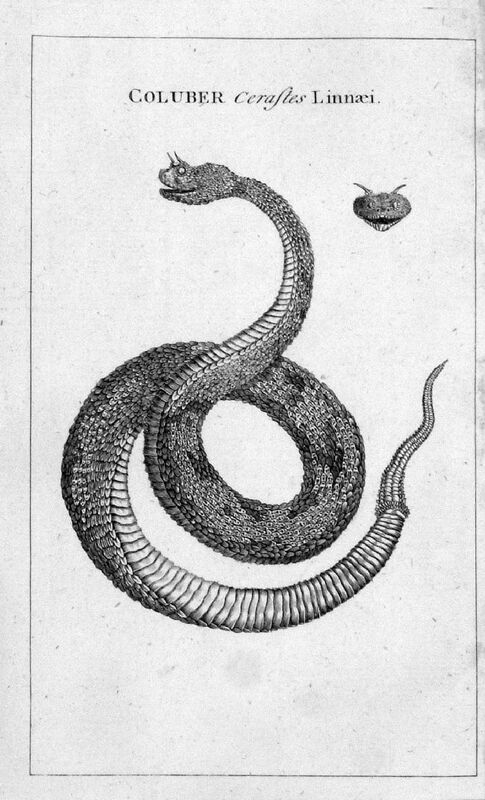 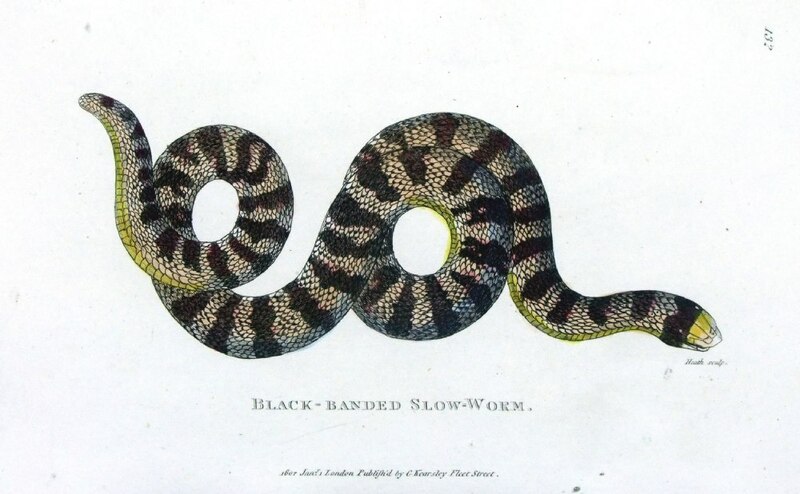 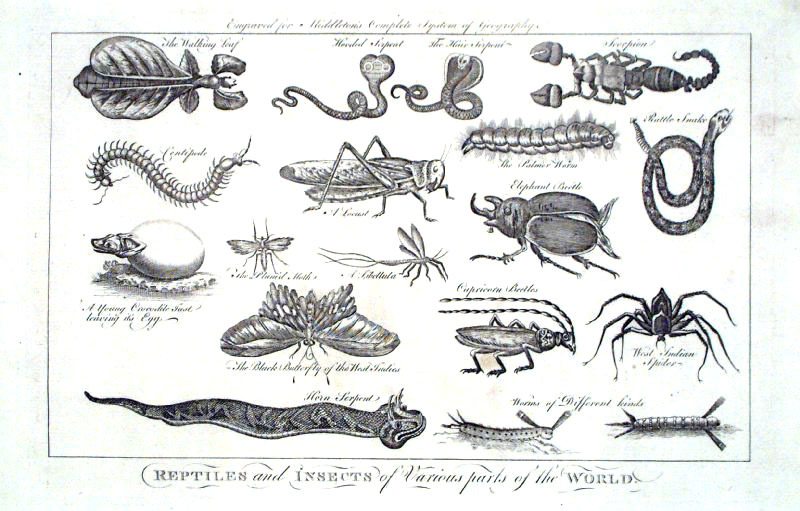 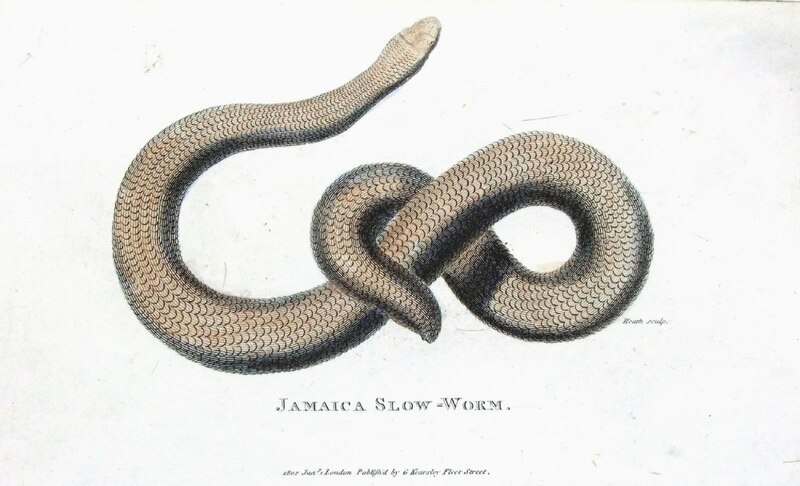 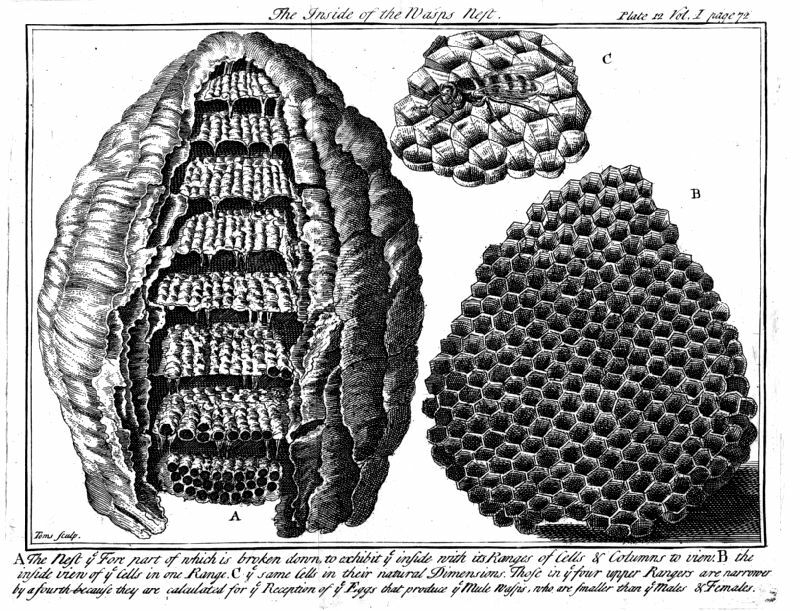 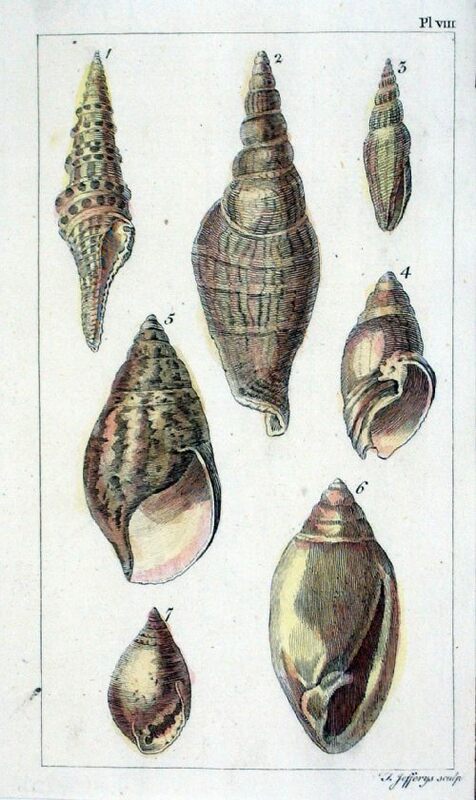 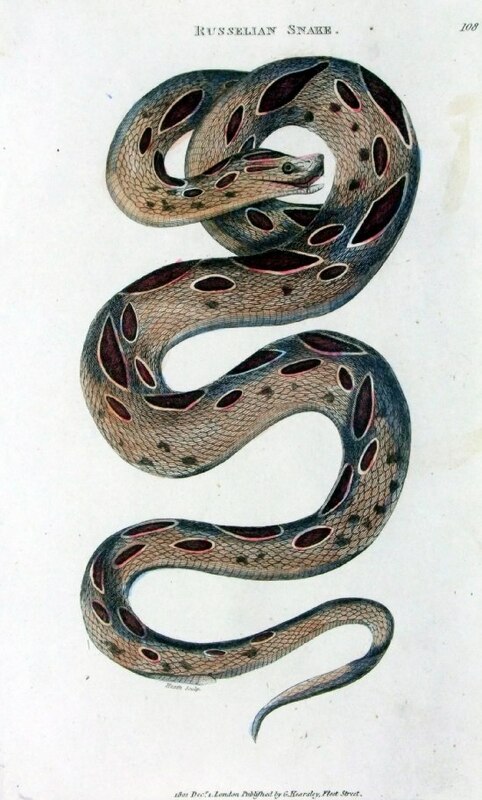 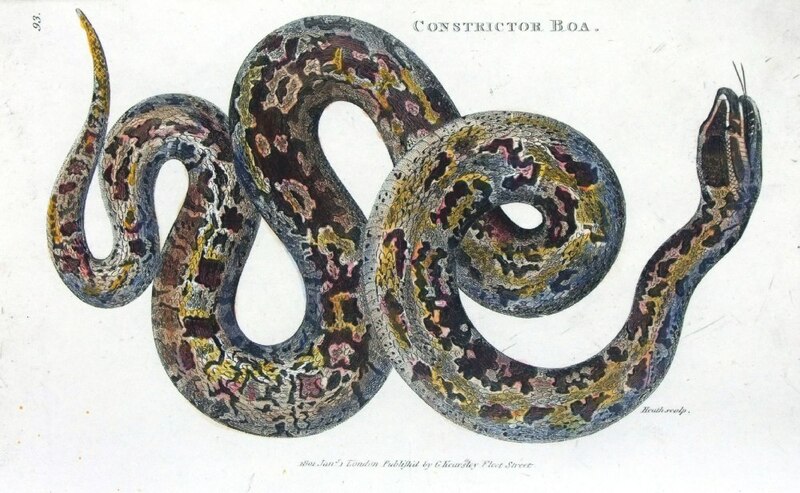 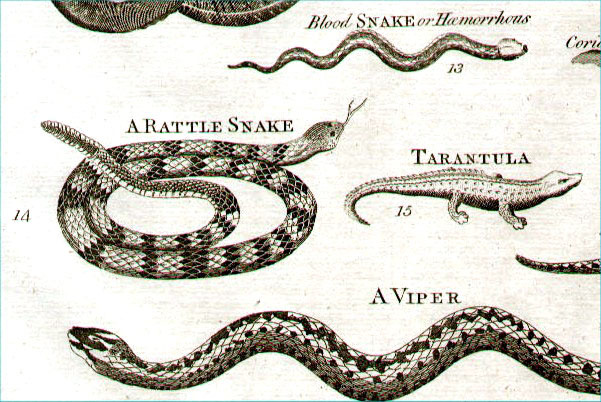 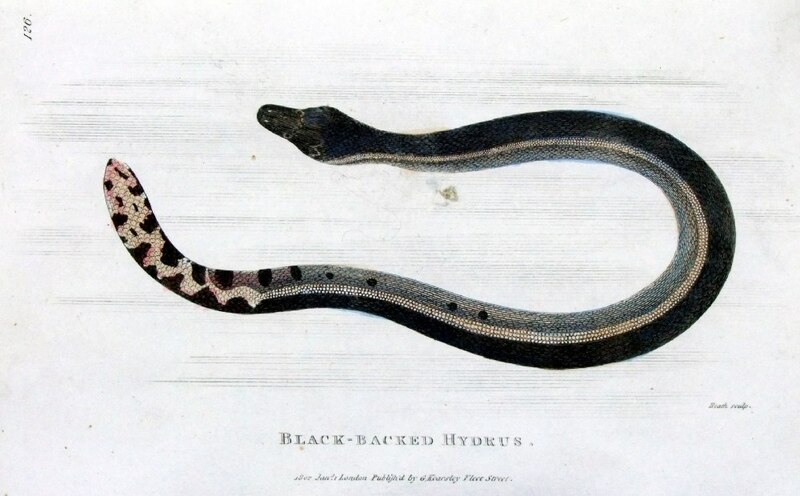 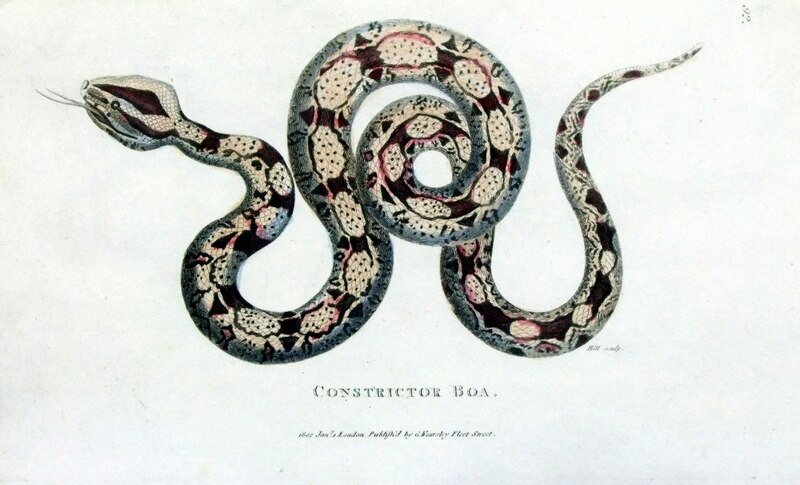 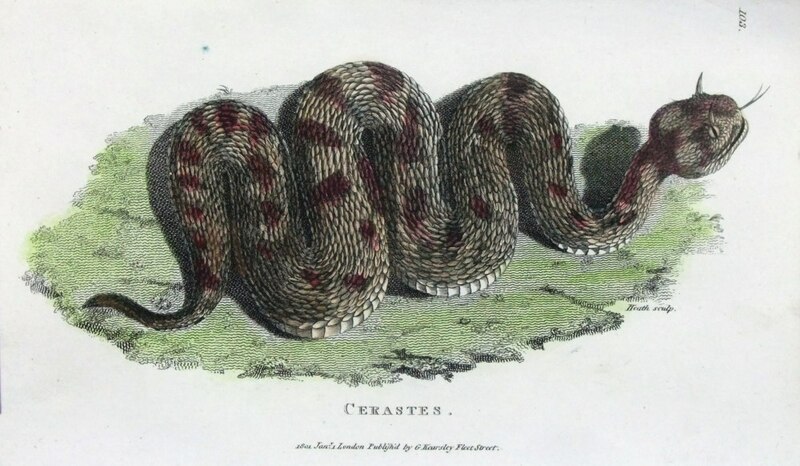 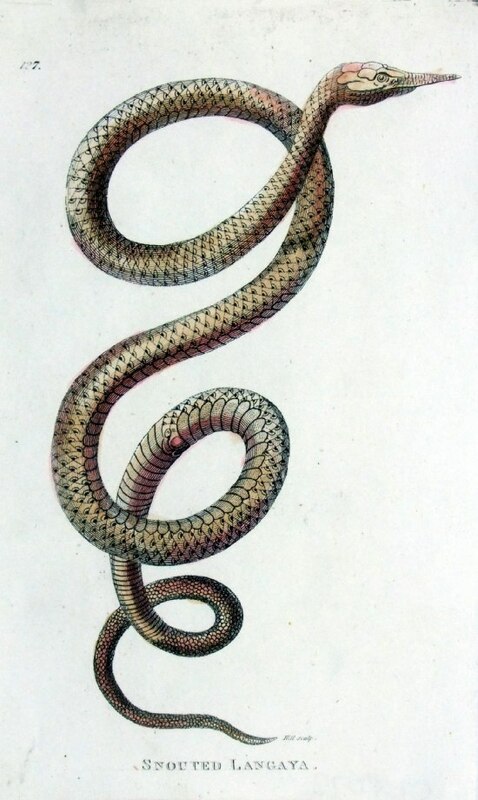 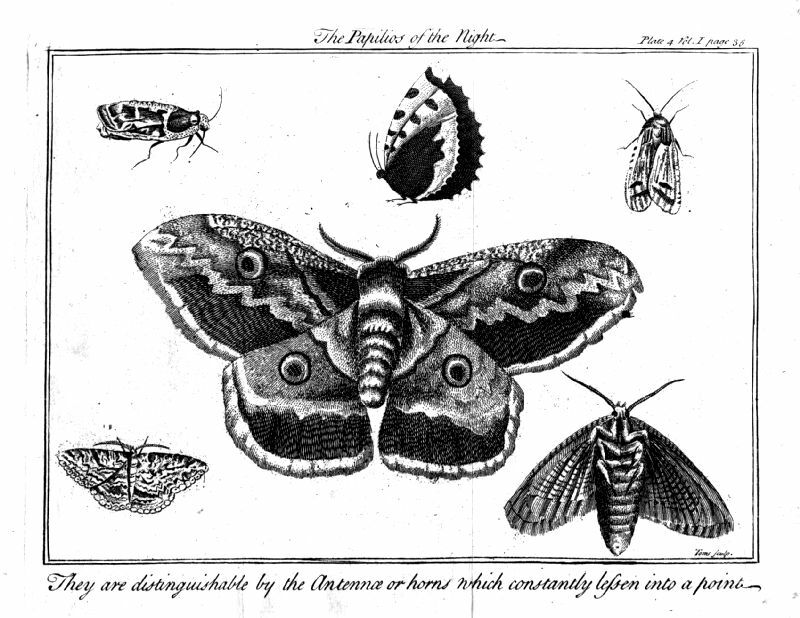 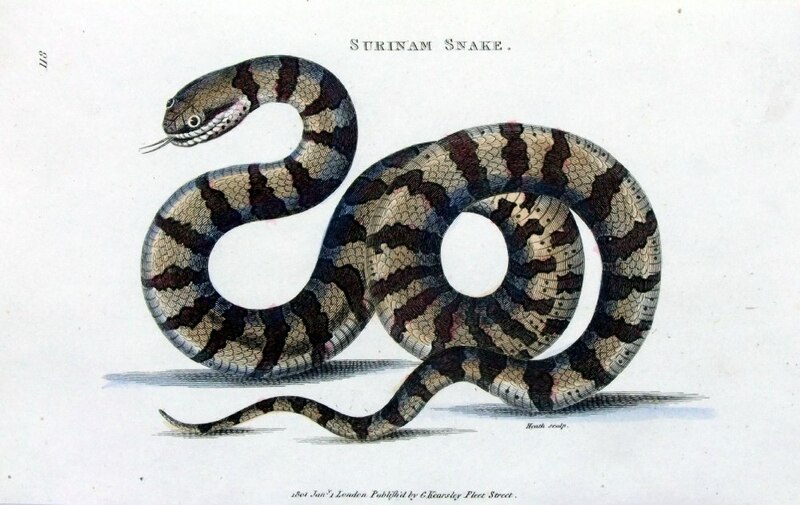 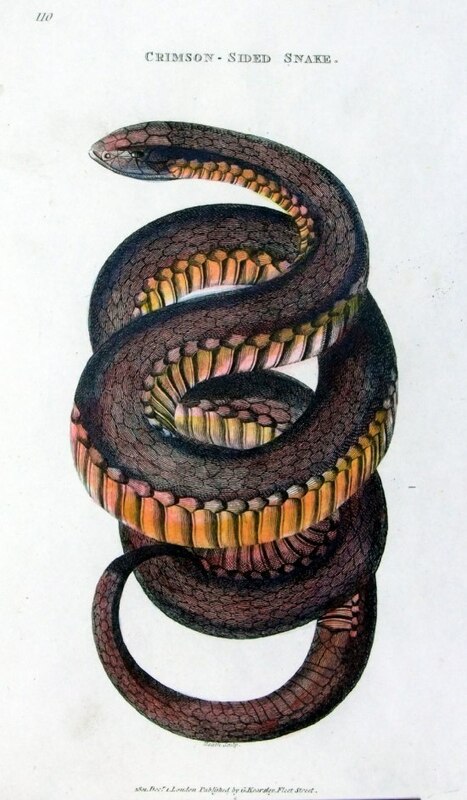 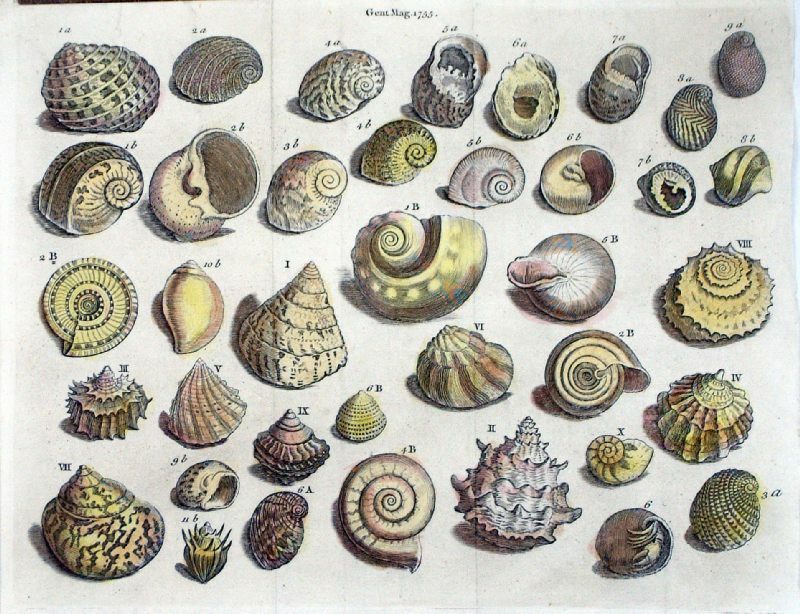 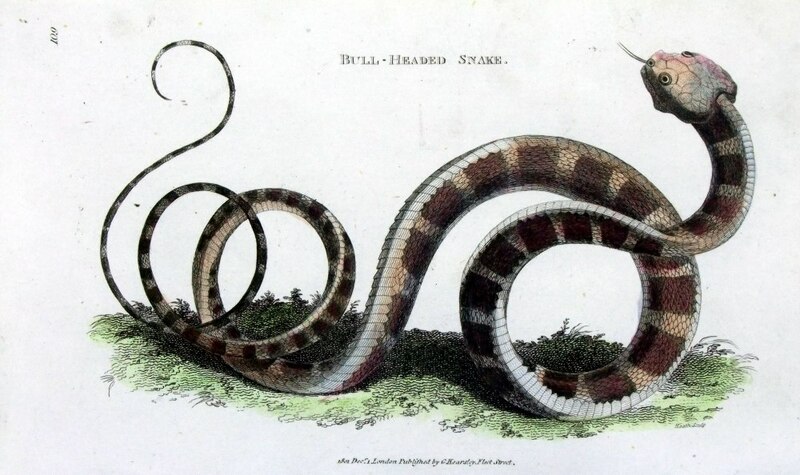 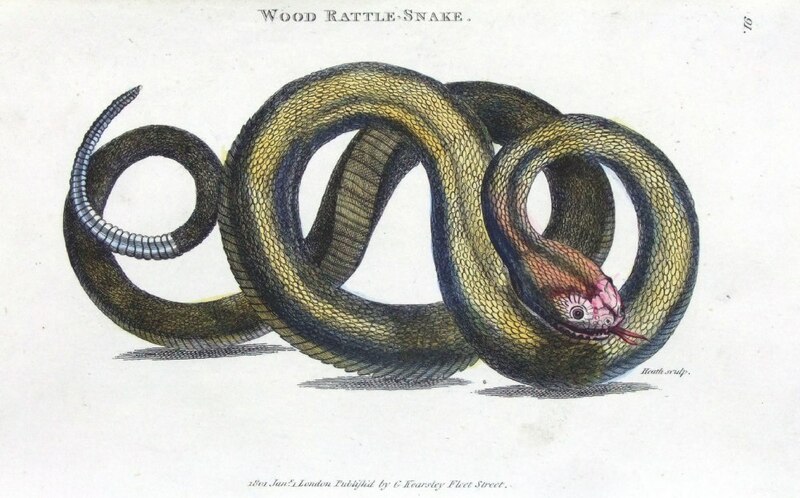 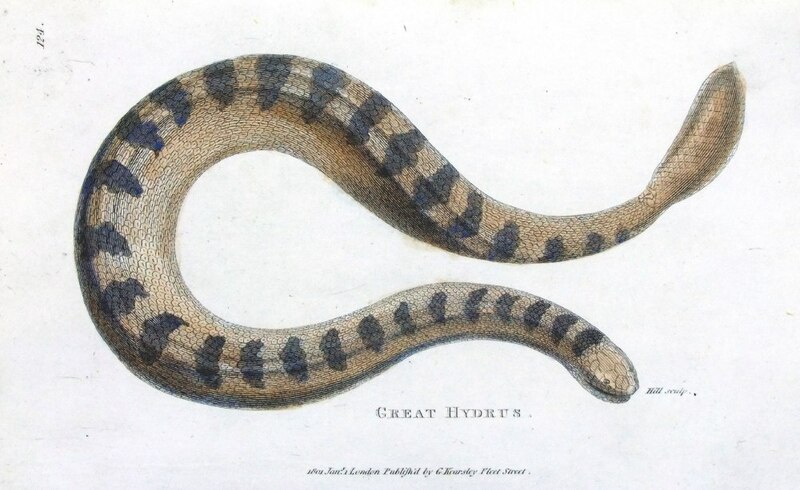 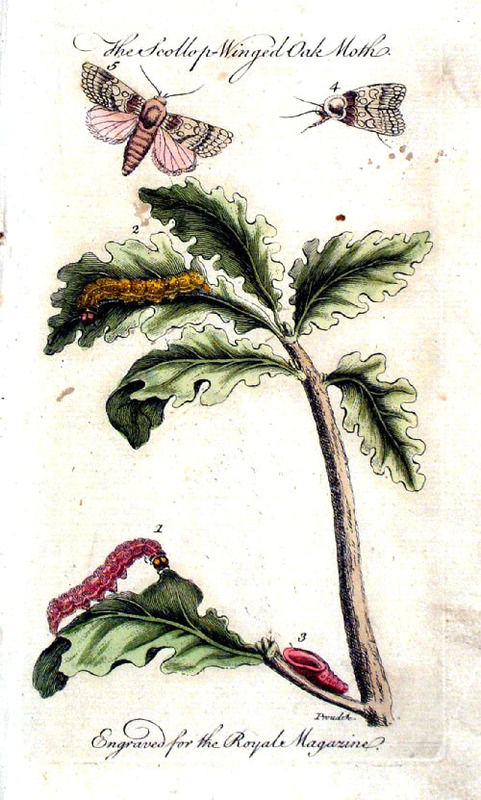 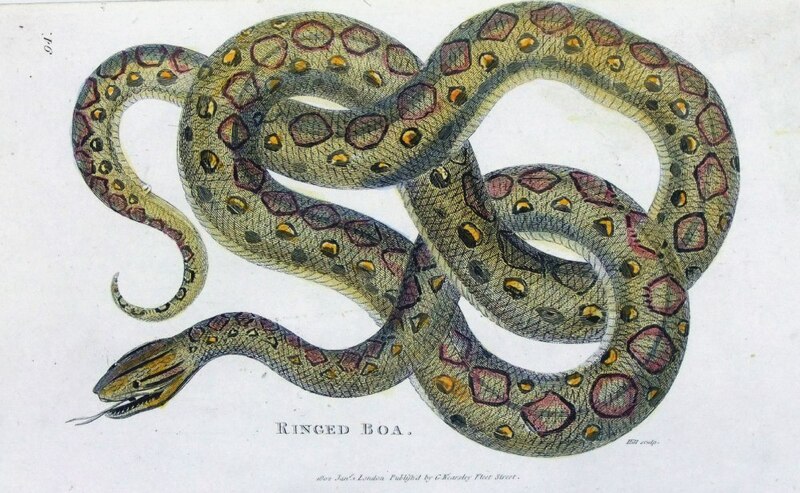 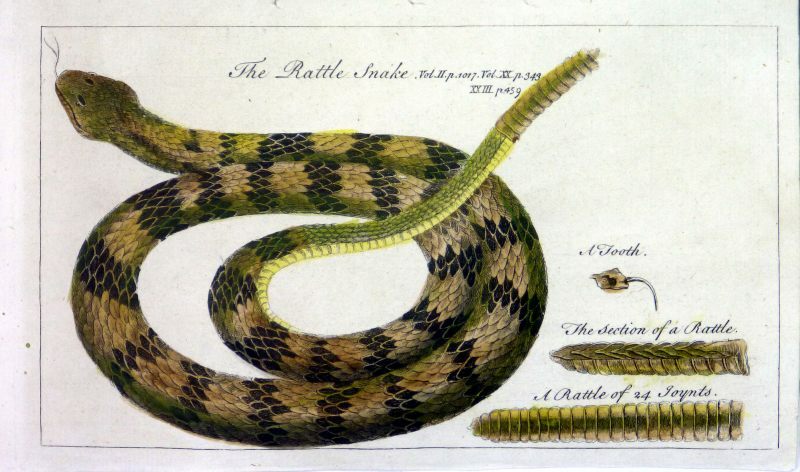 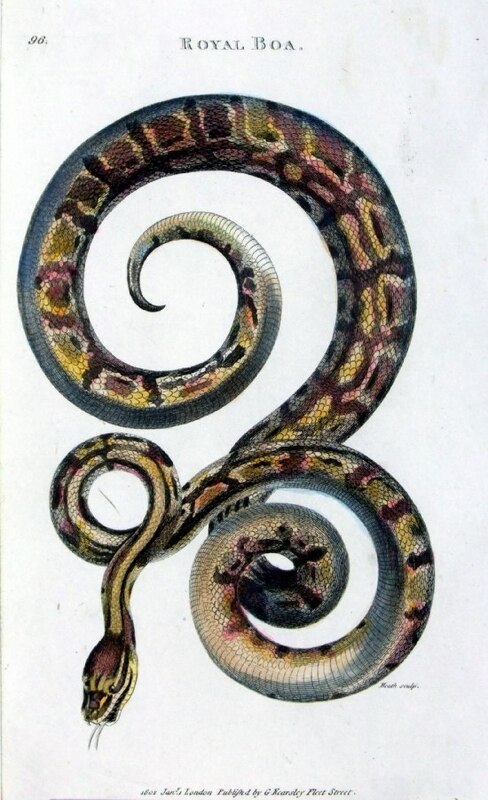 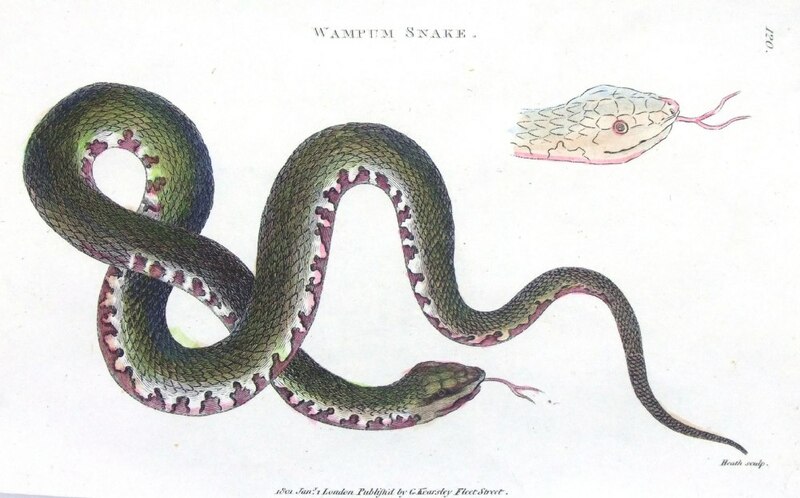 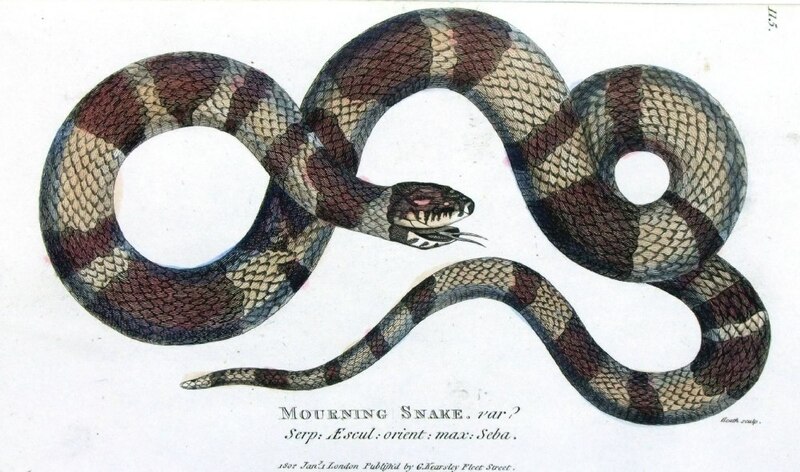 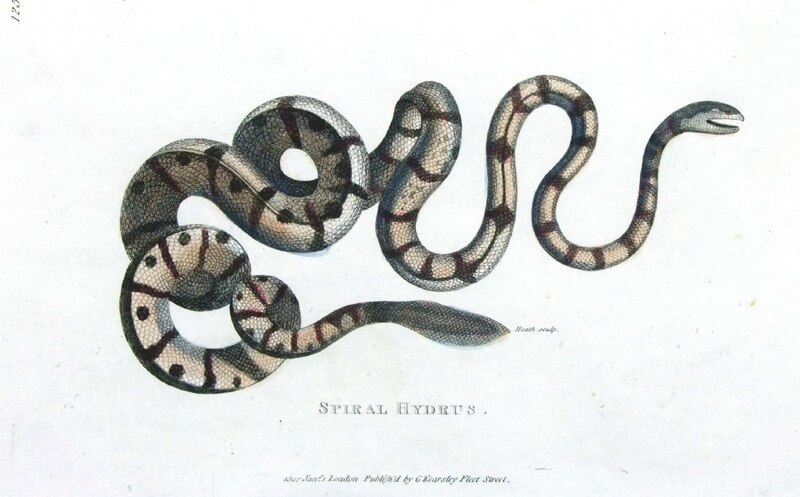 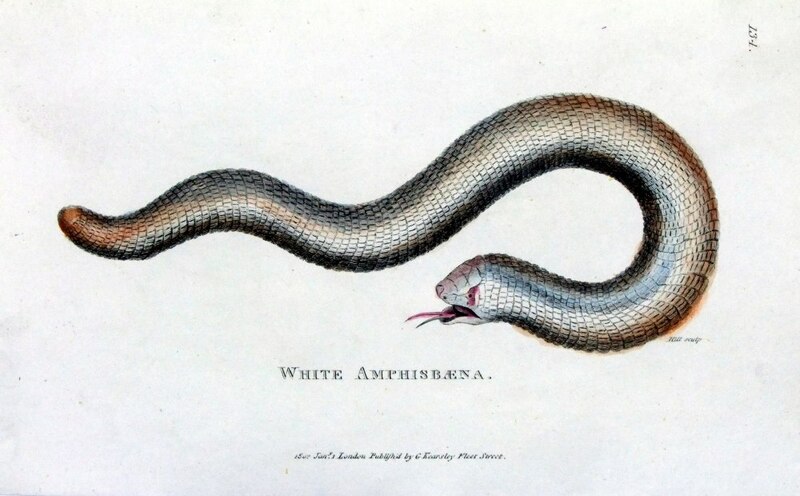 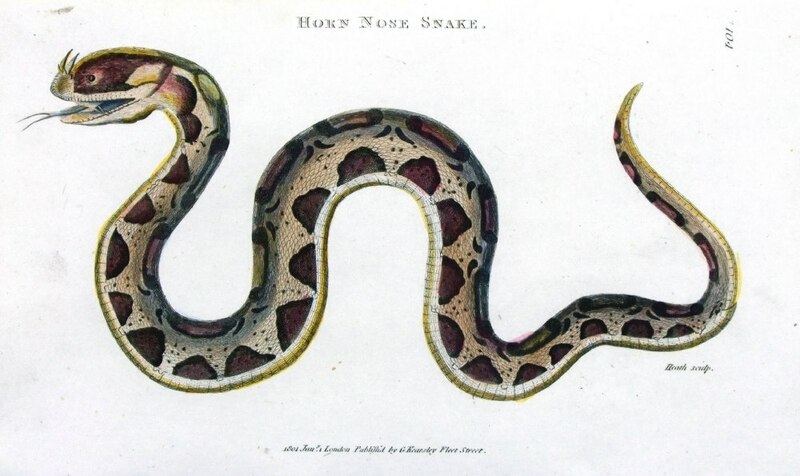 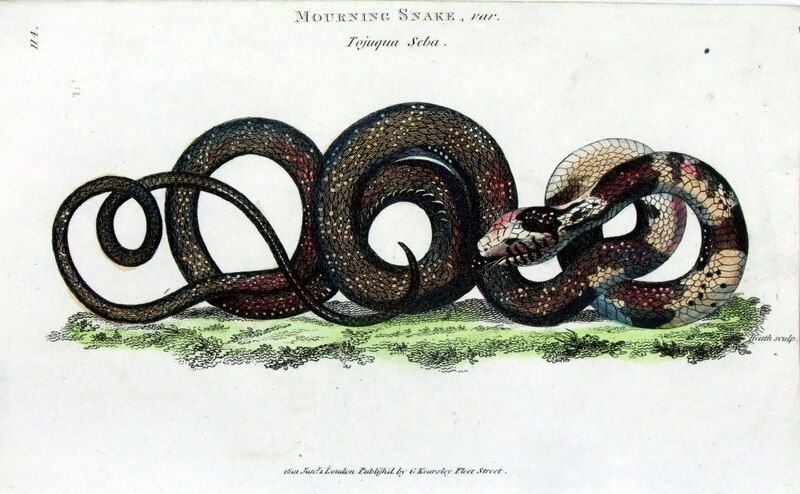 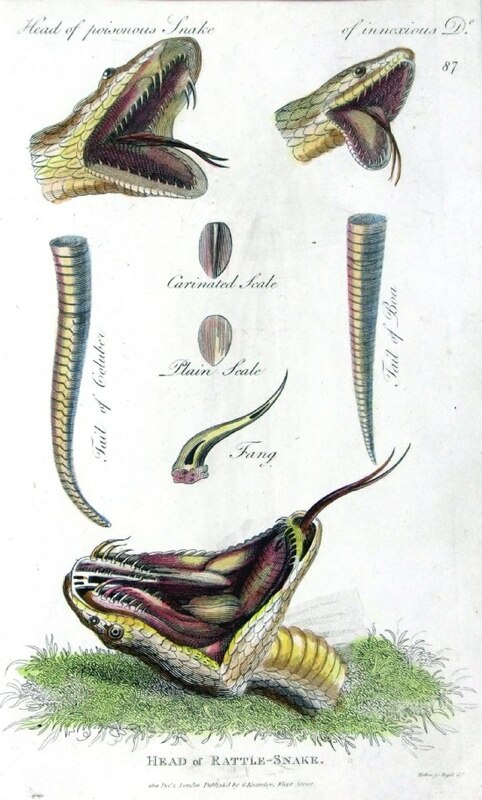 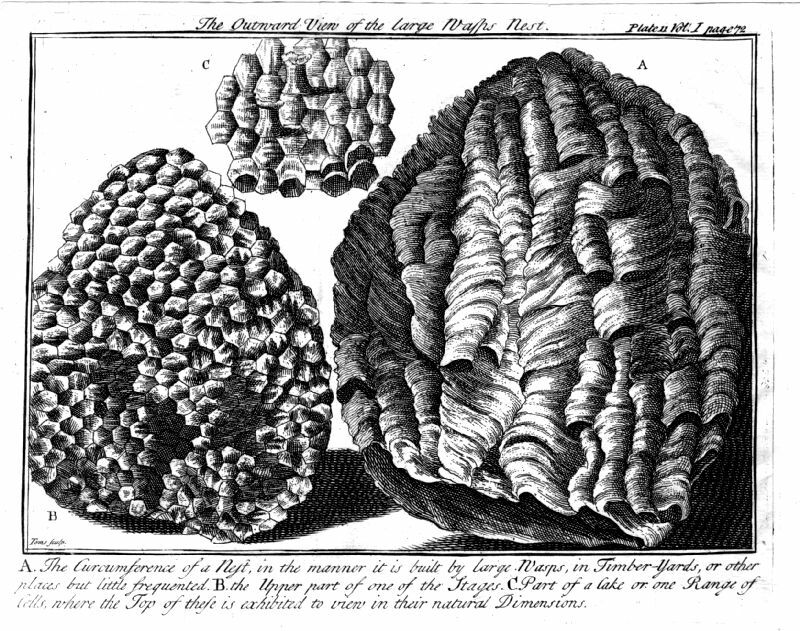 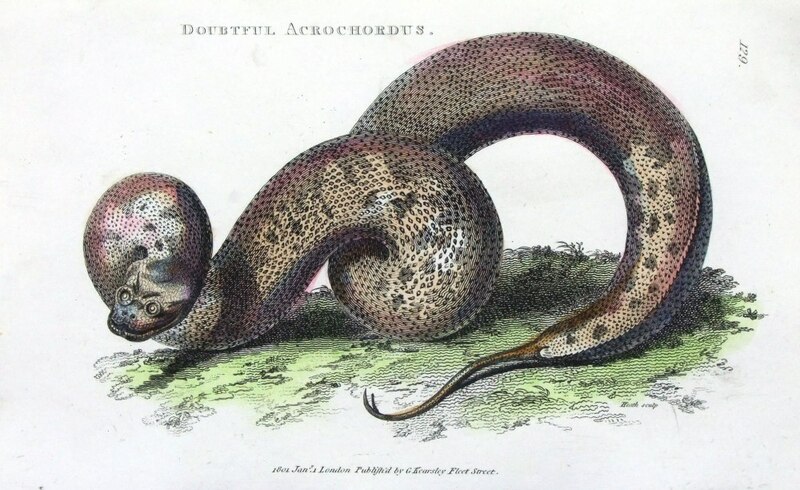 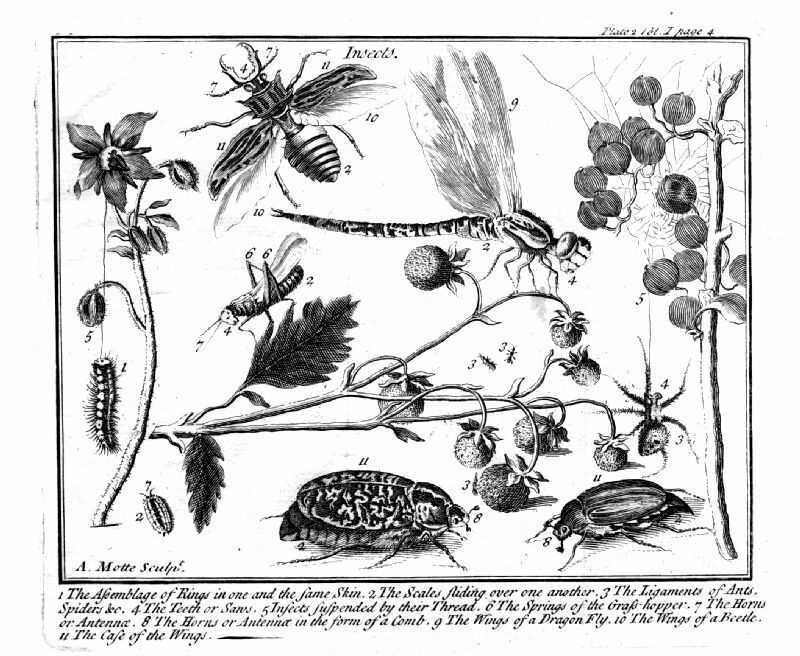 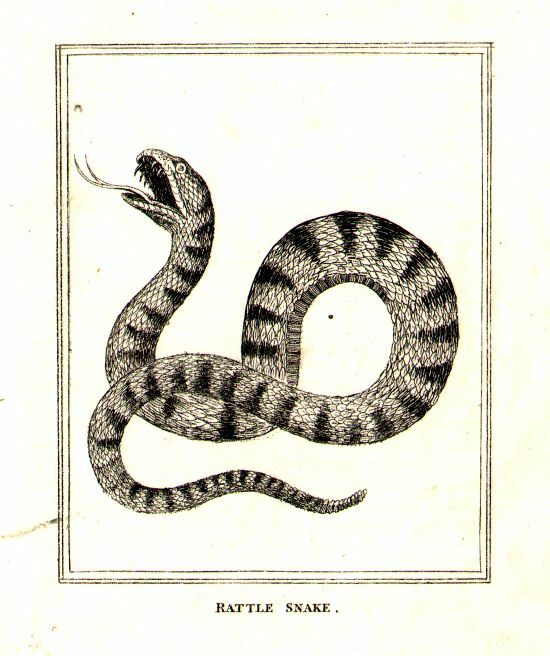 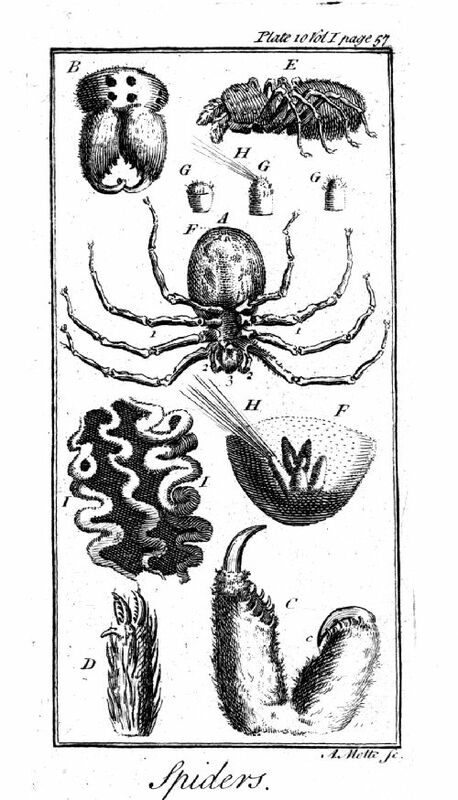 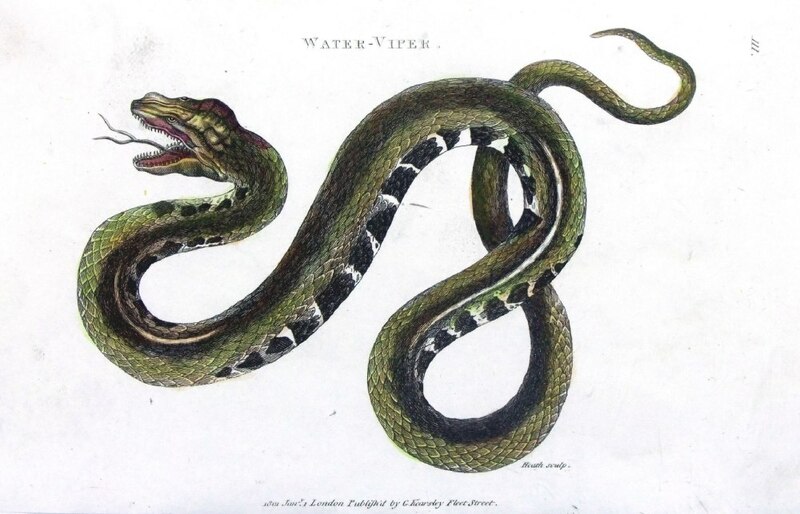 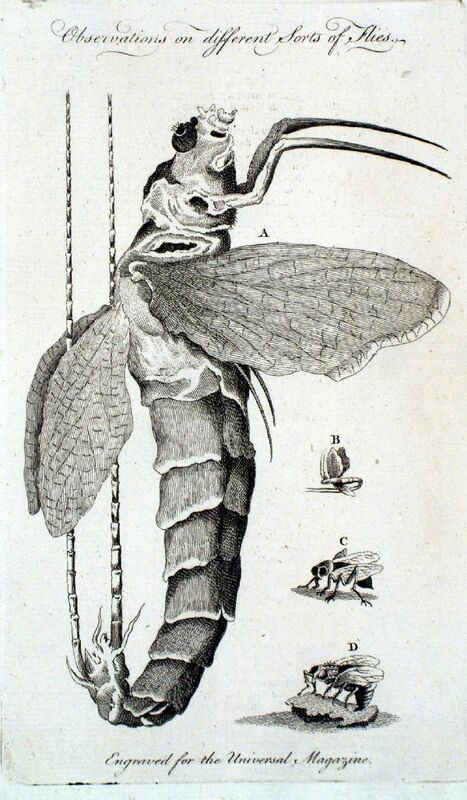 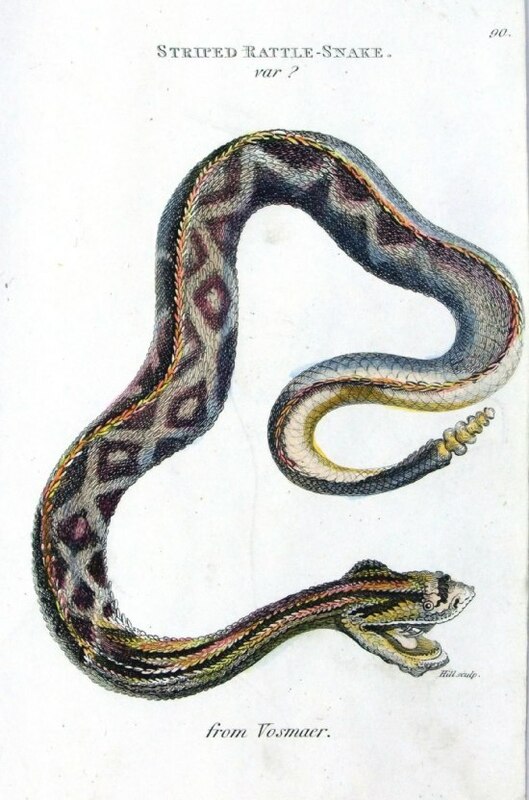 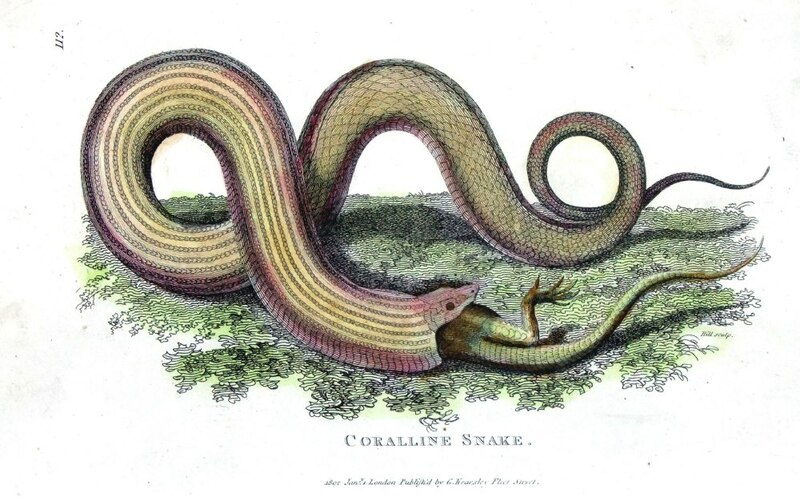 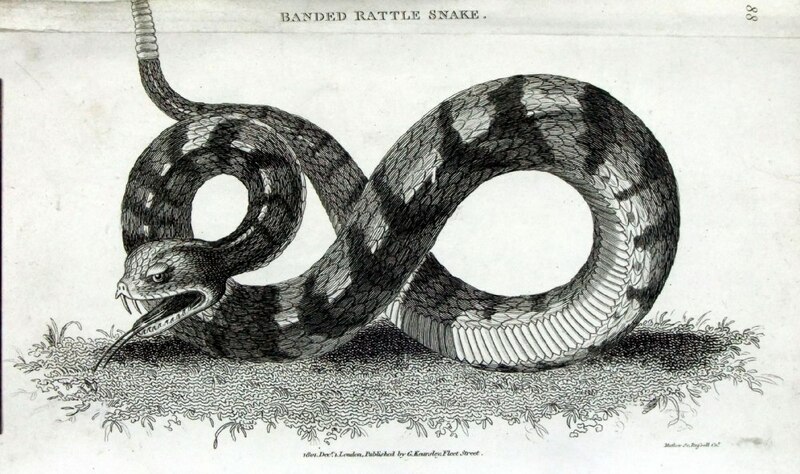 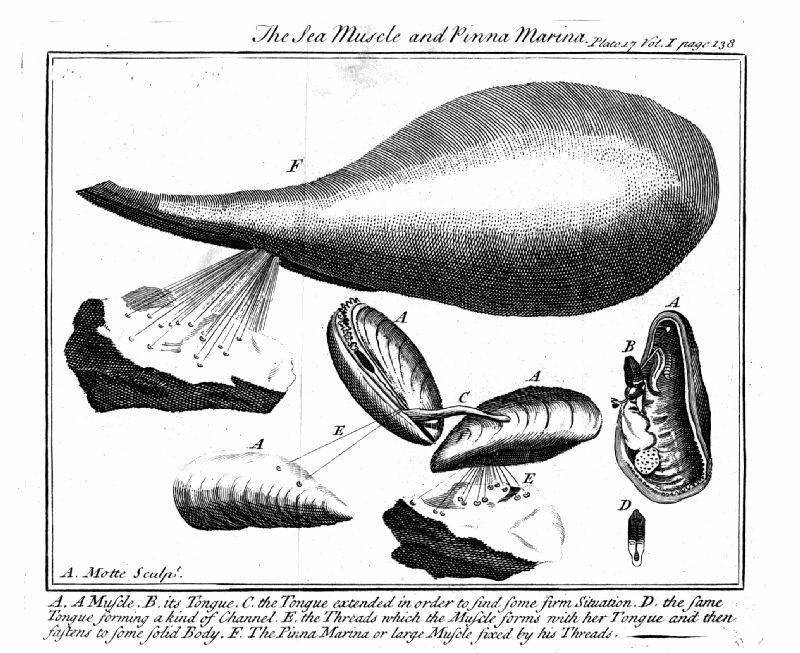 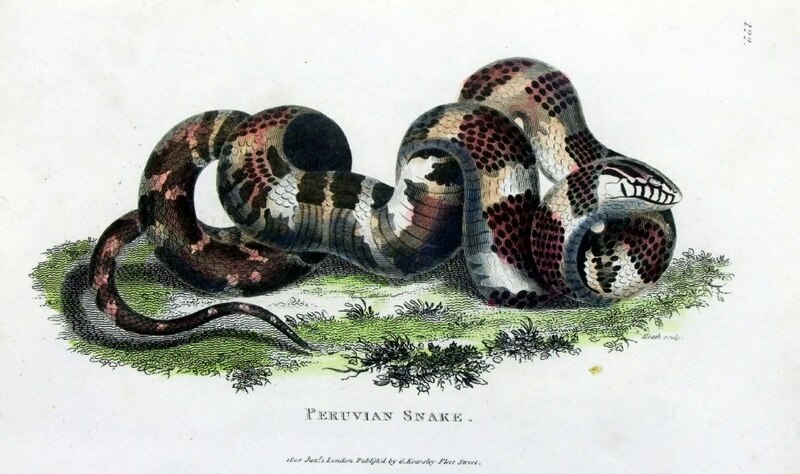 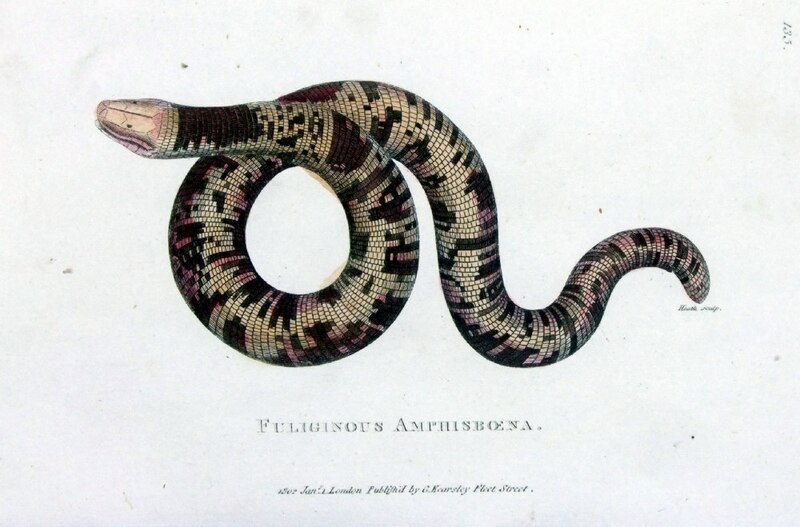 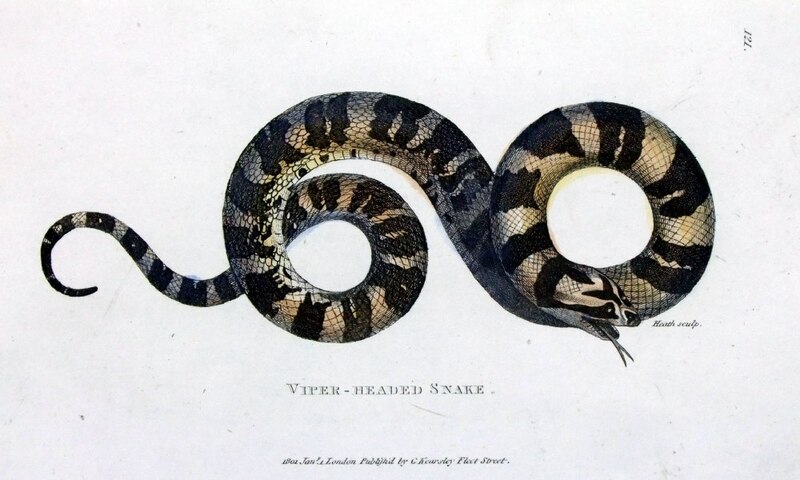 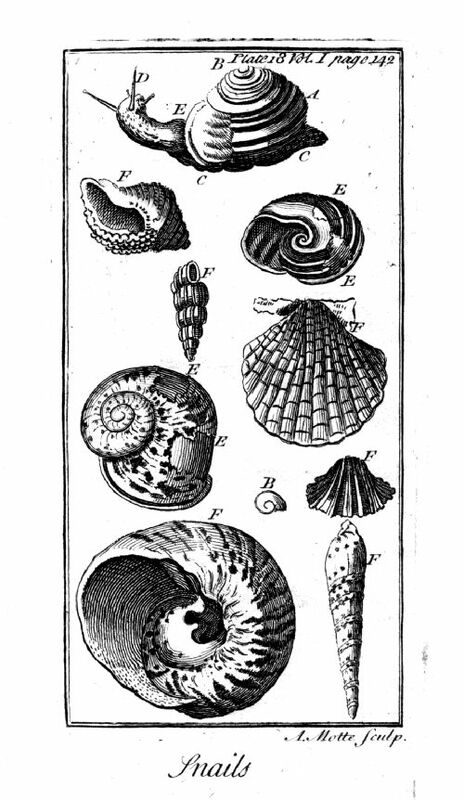 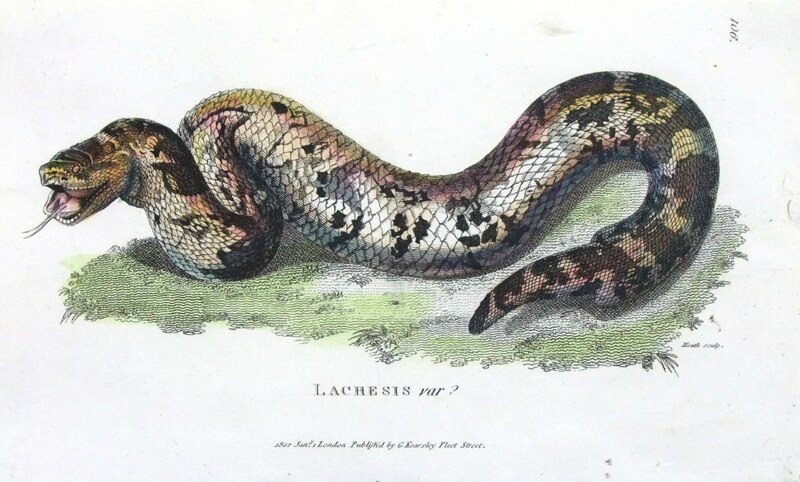 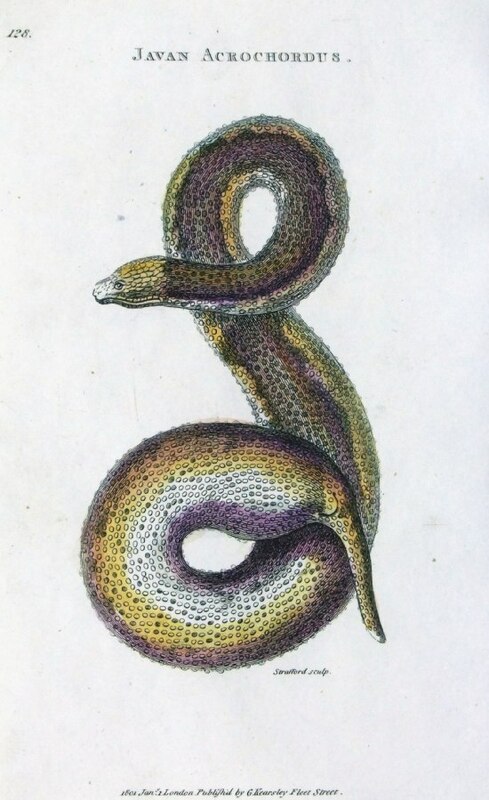 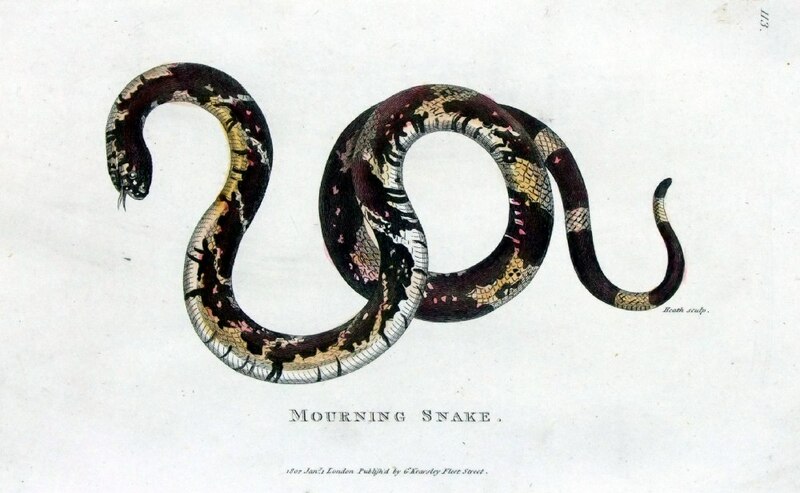 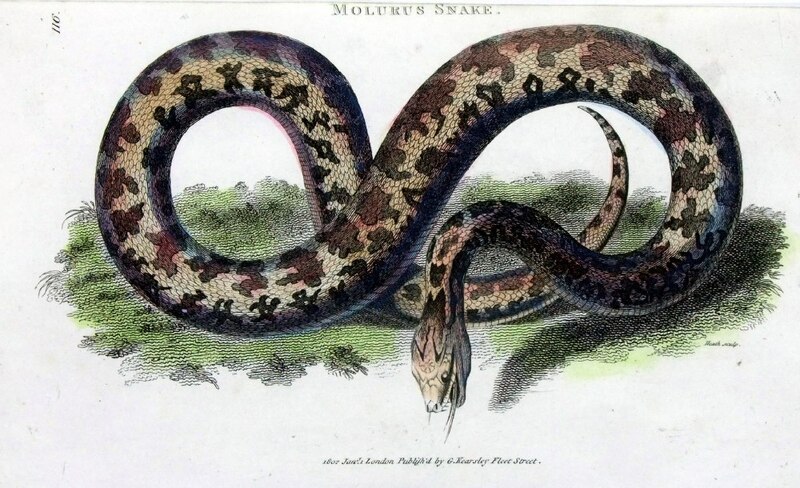 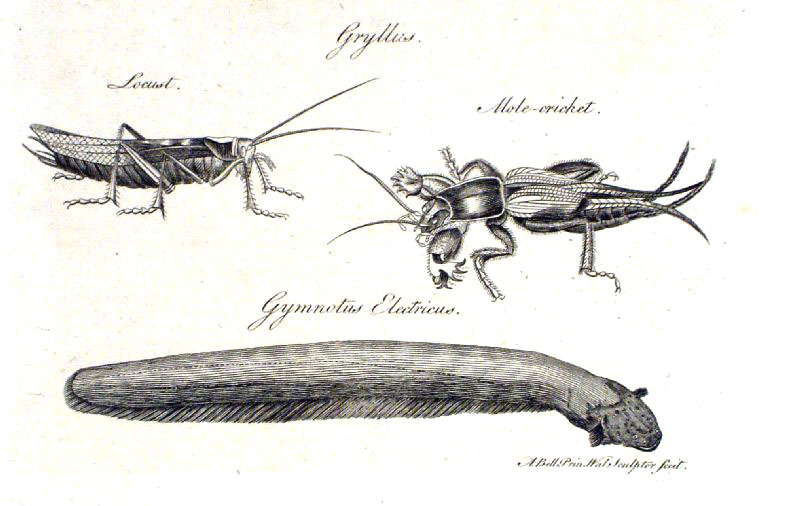 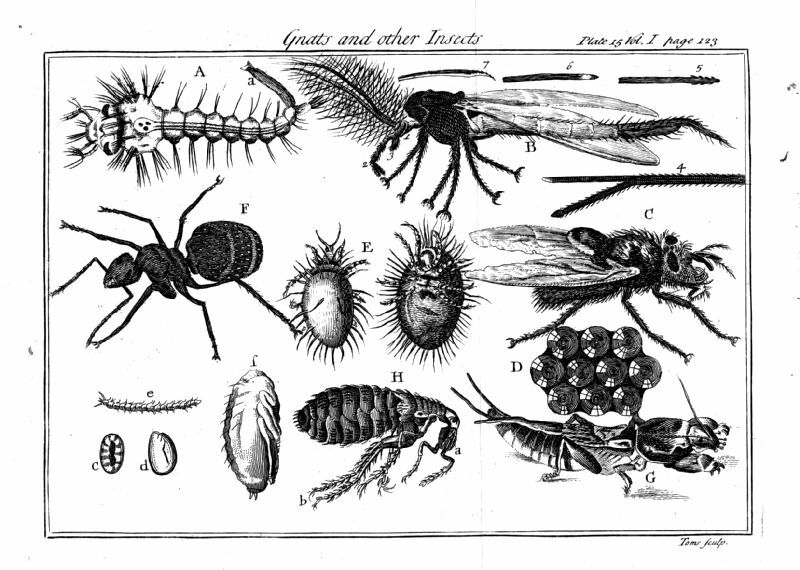 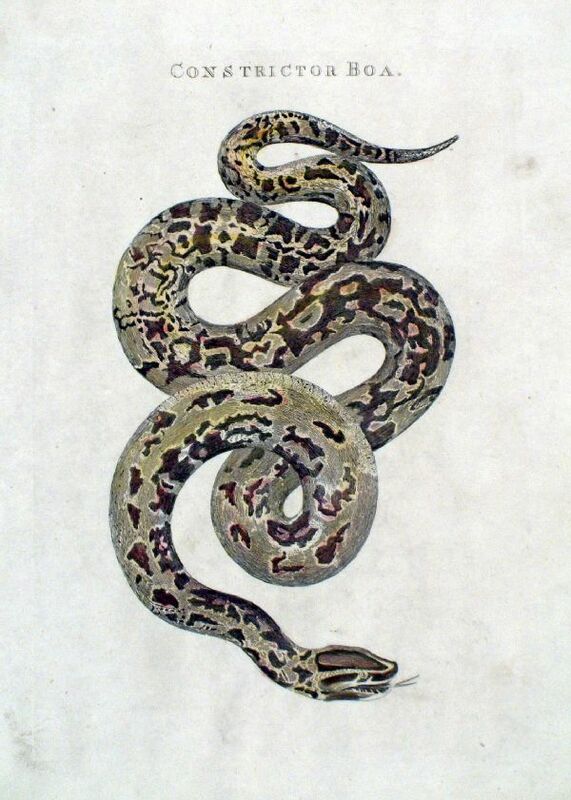 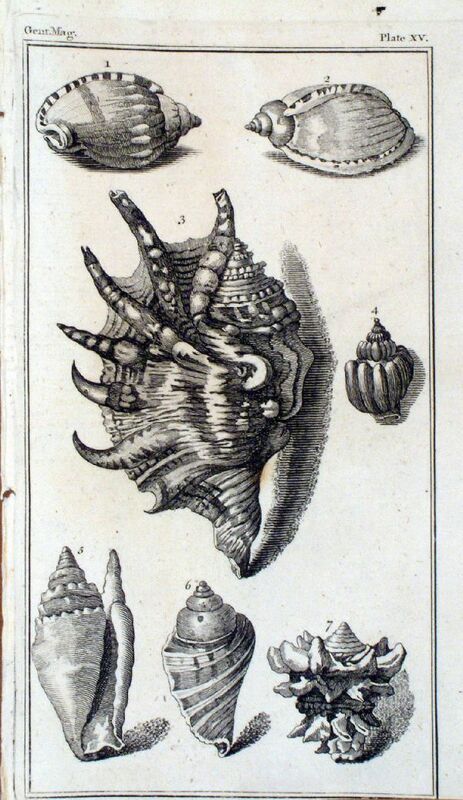 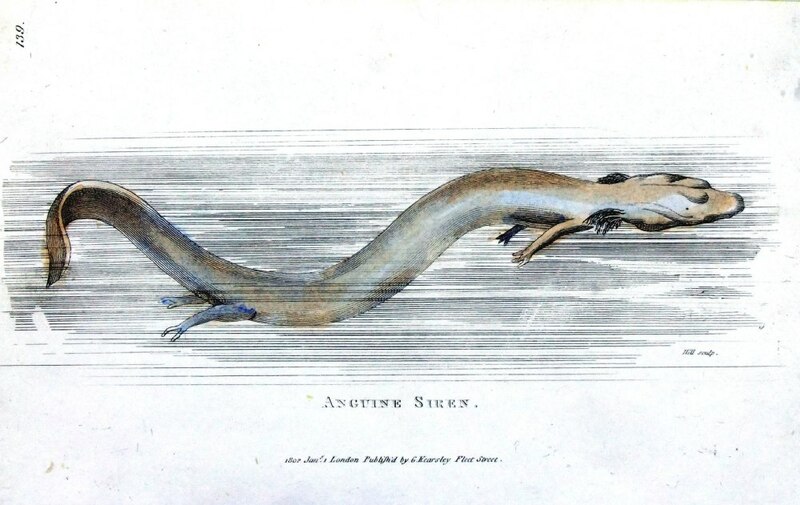 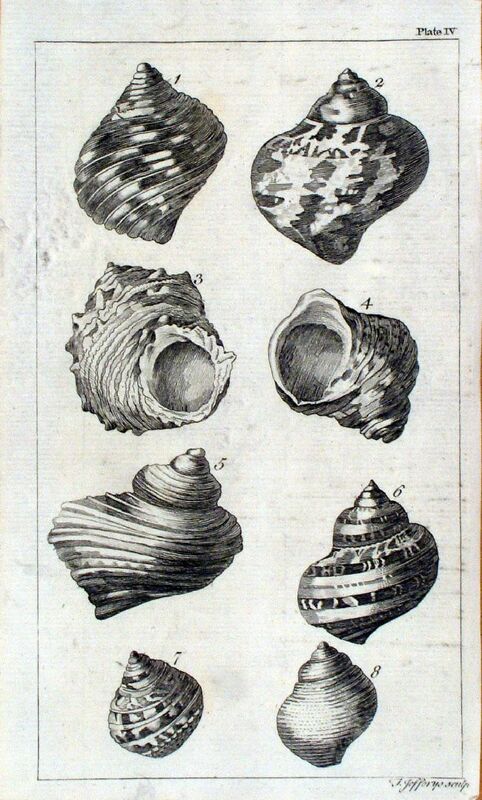 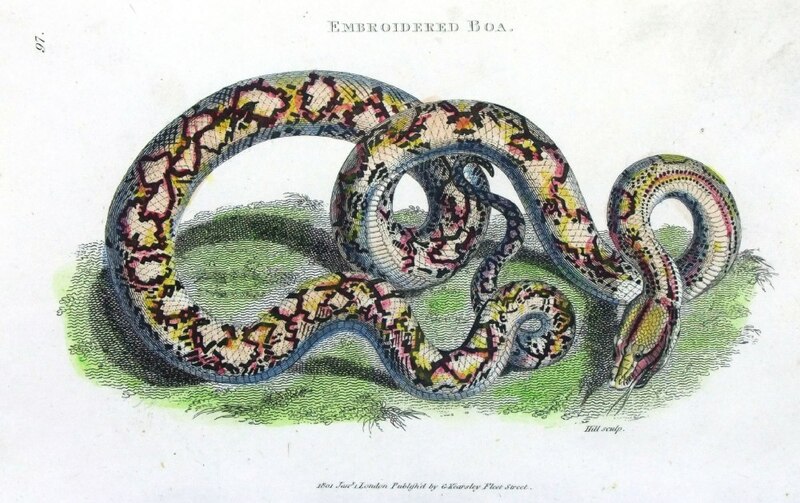 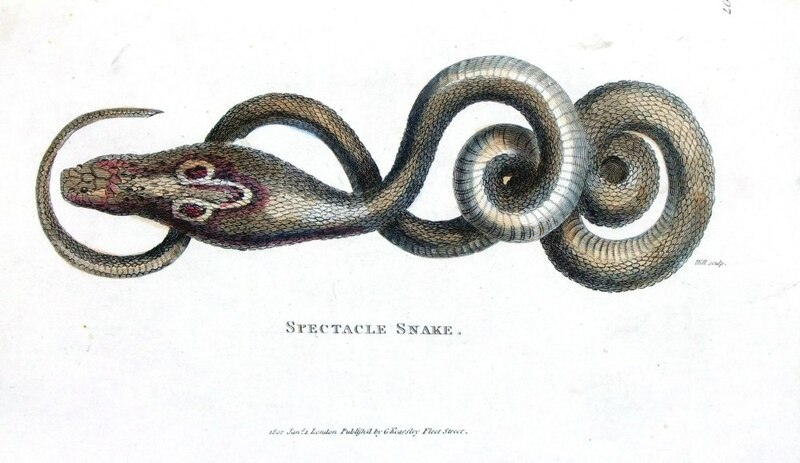 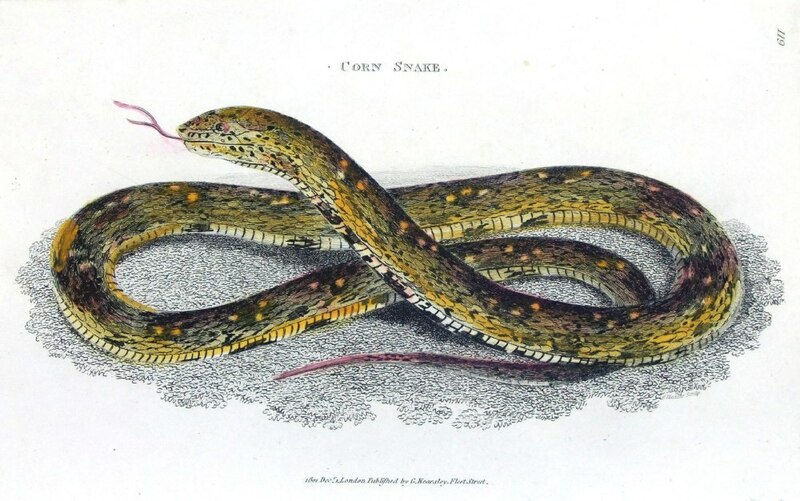 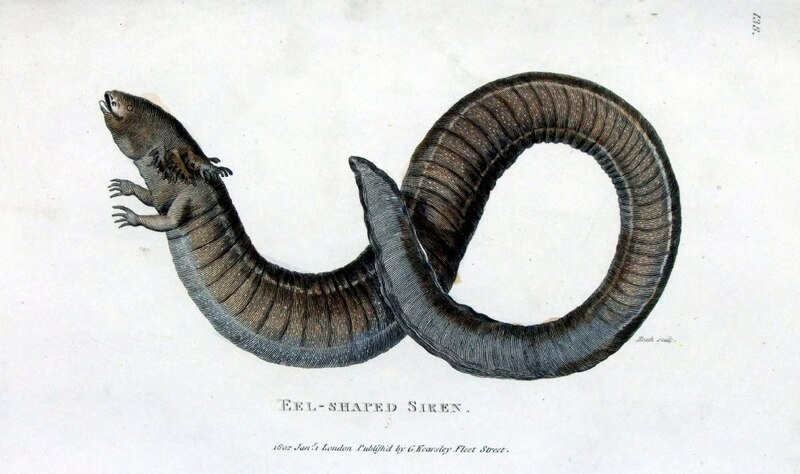 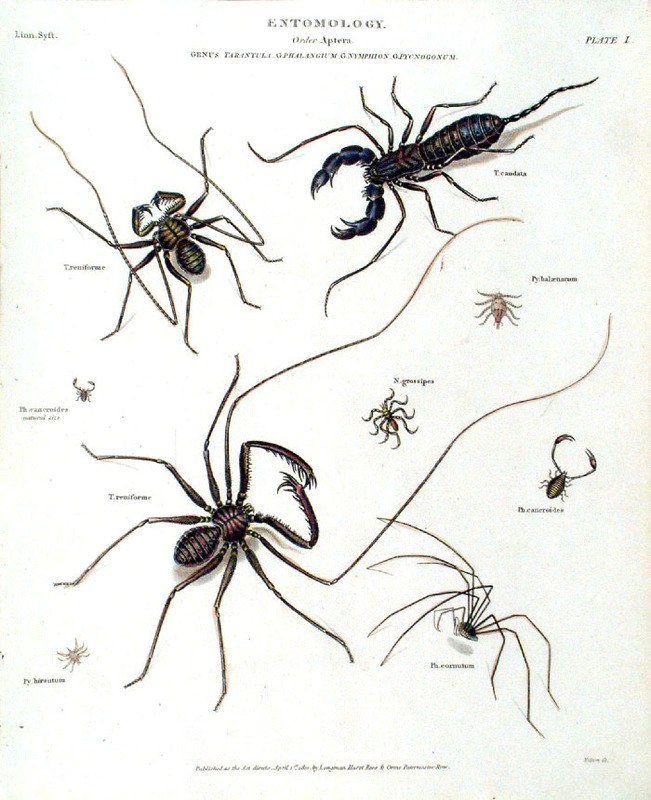 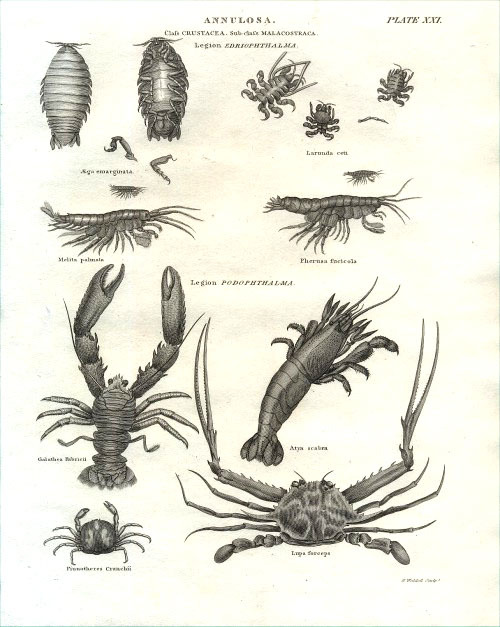 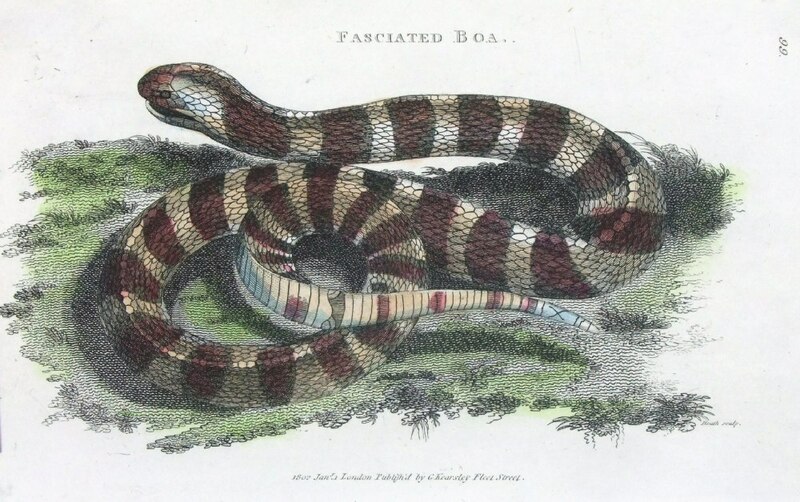 Serpents Hogg c1780 Copper Engraving. 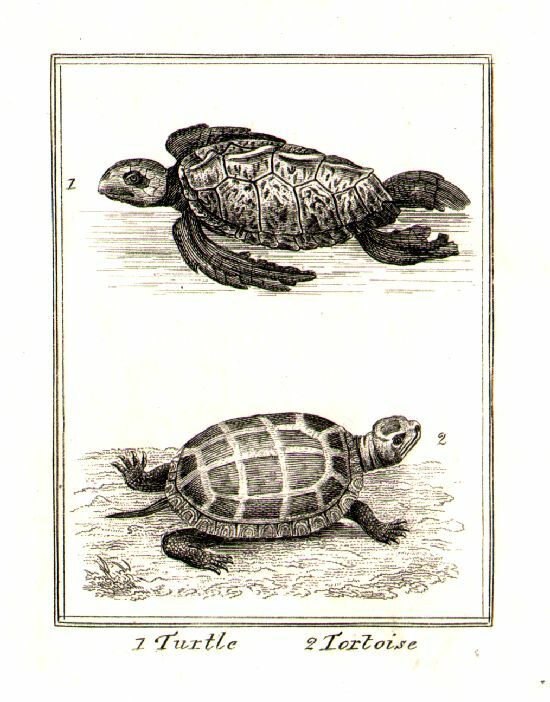 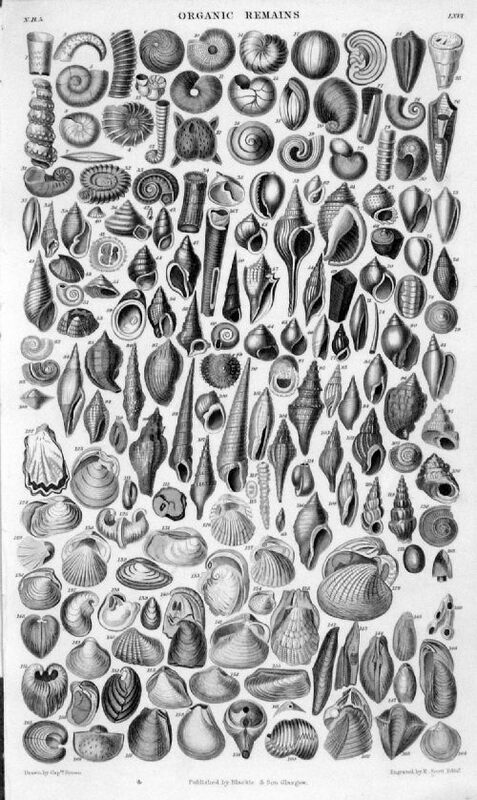 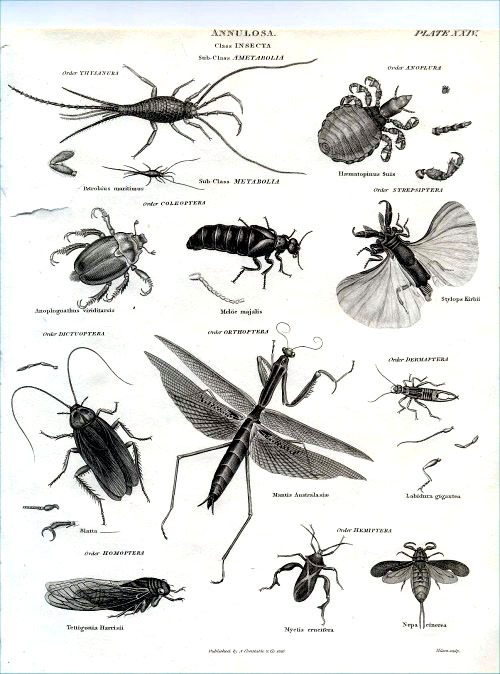 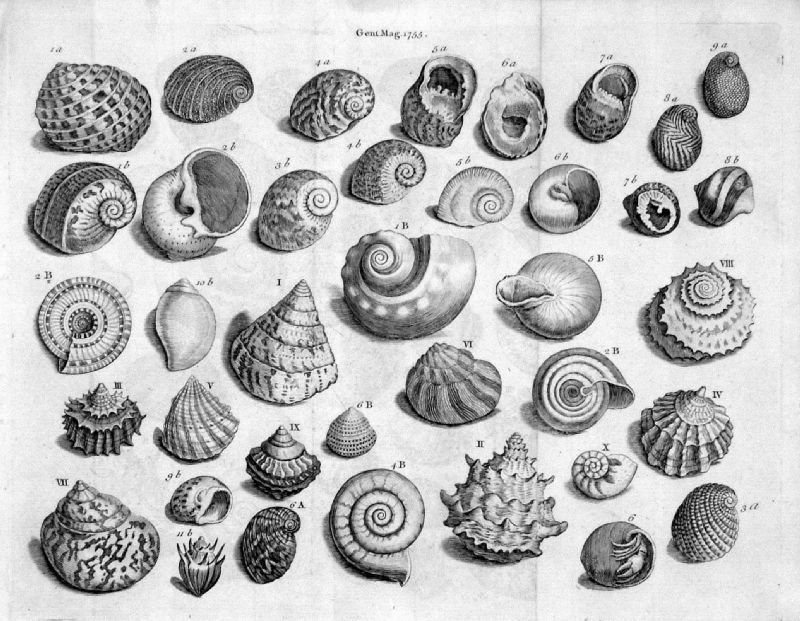 Copper Engraving. 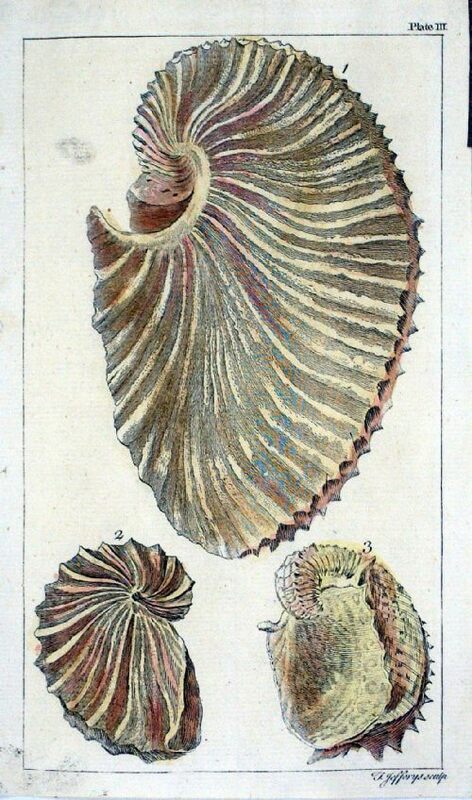 size: 200 x 120 mm, fold at top. 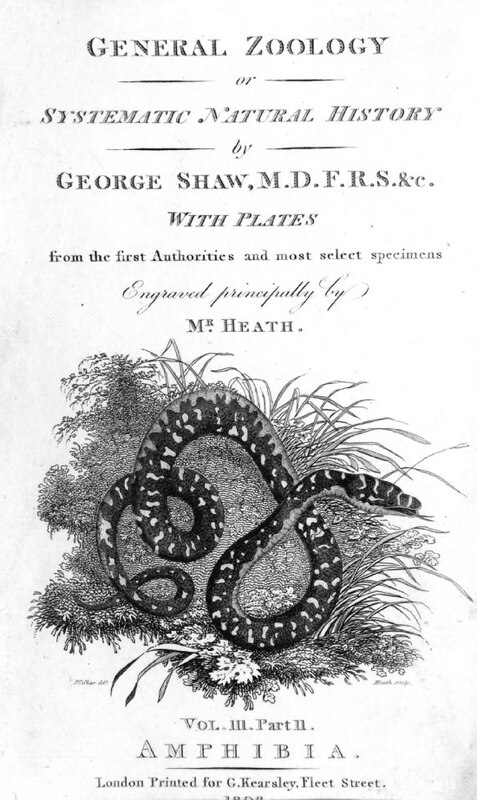 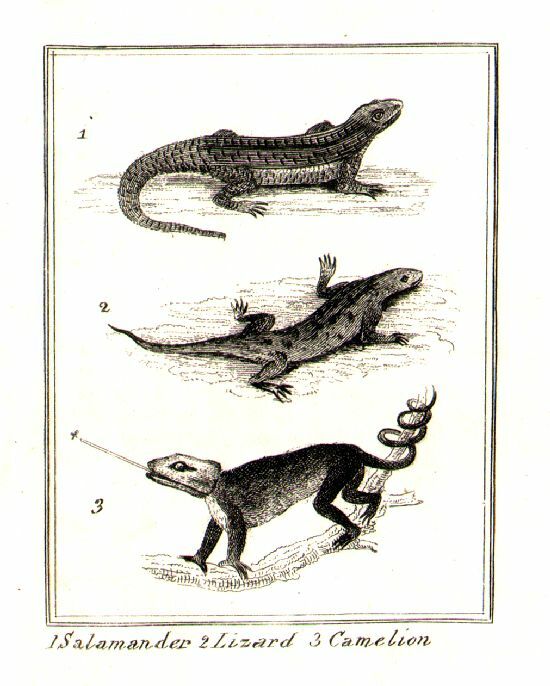 Title Page - unspecified snake. 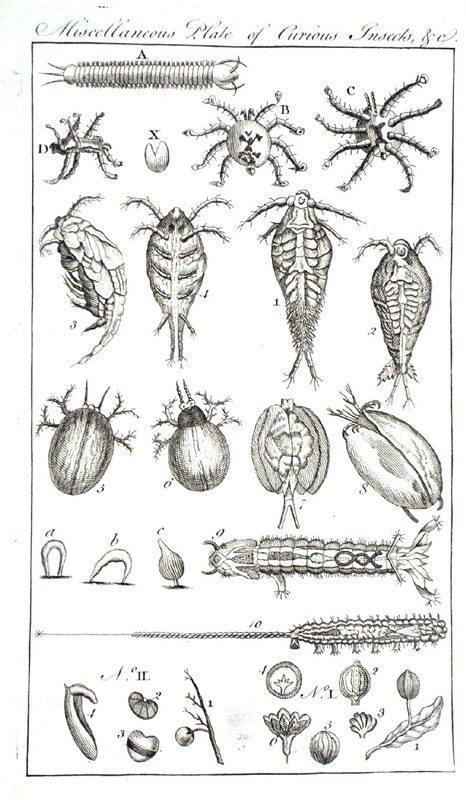 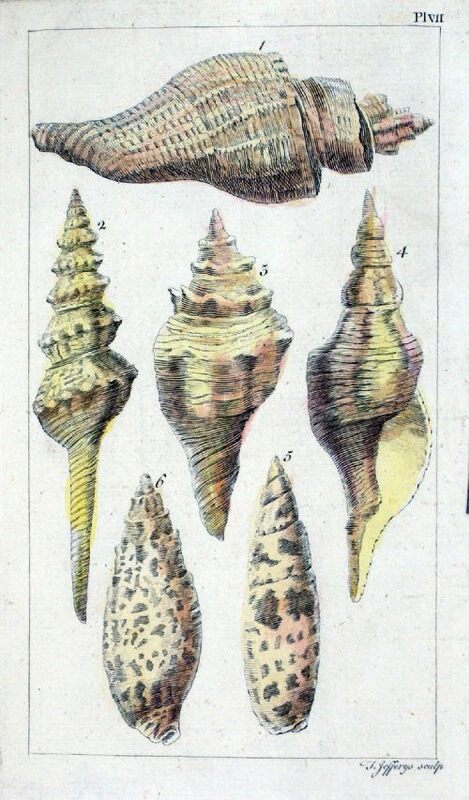 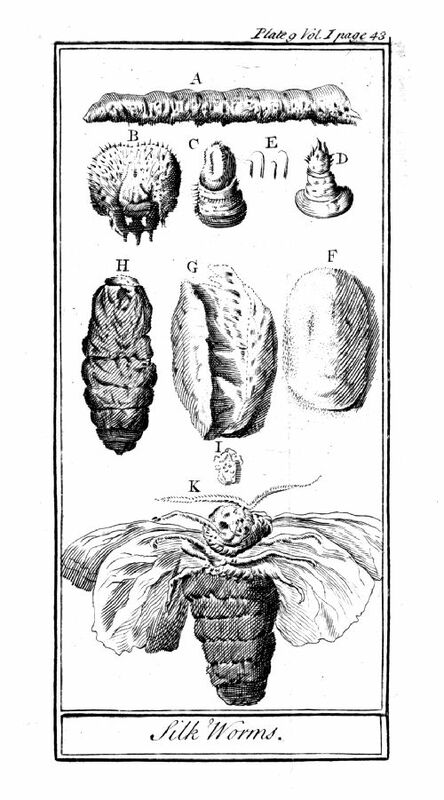 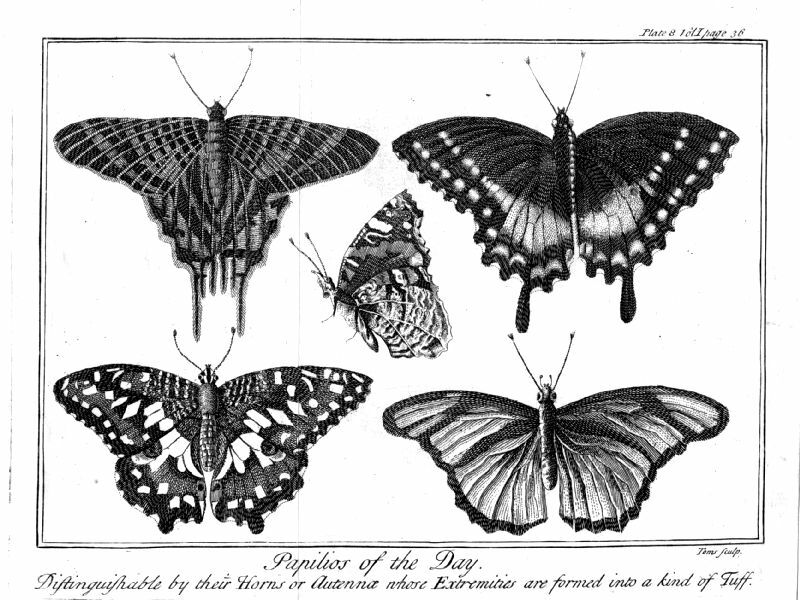 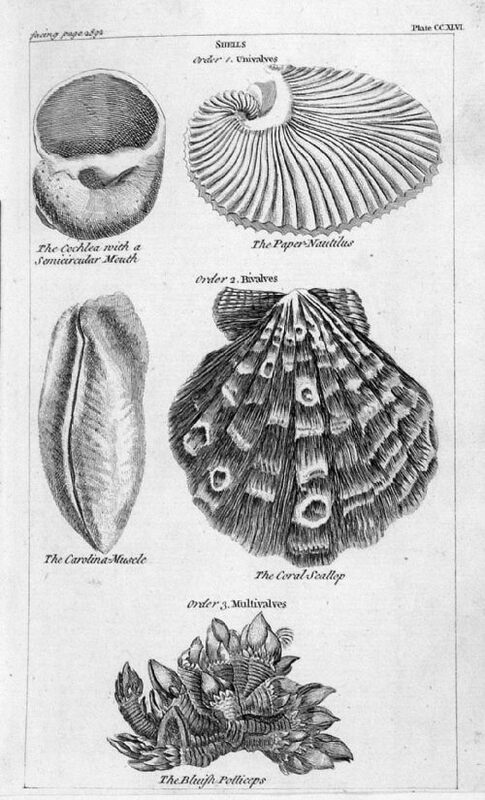 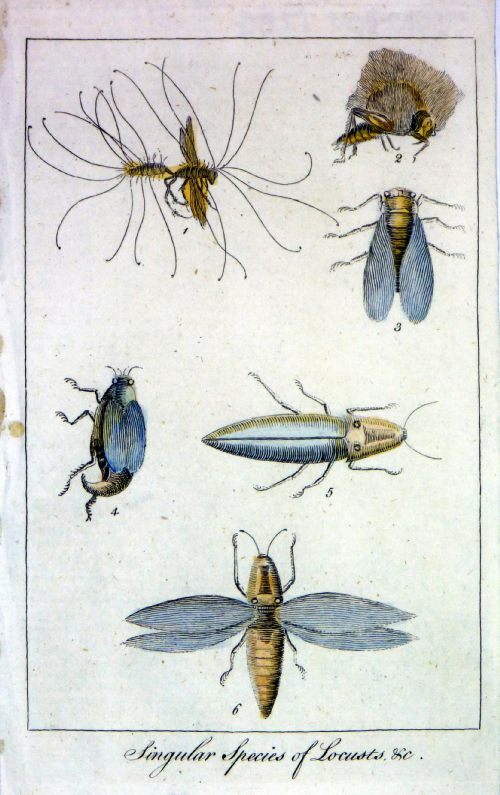 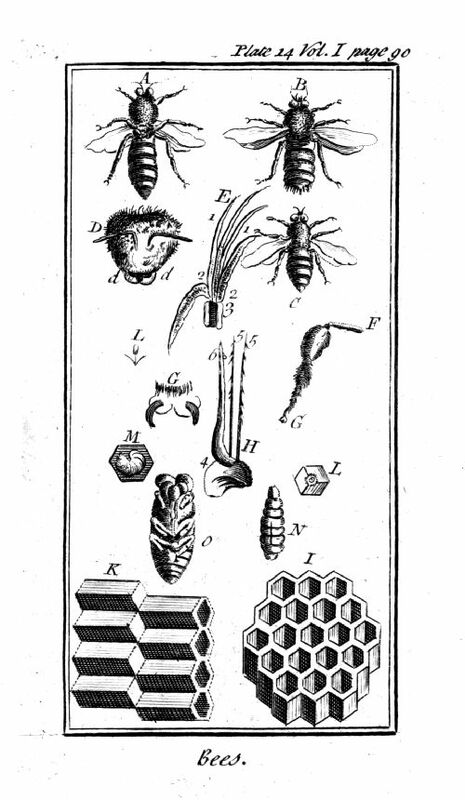 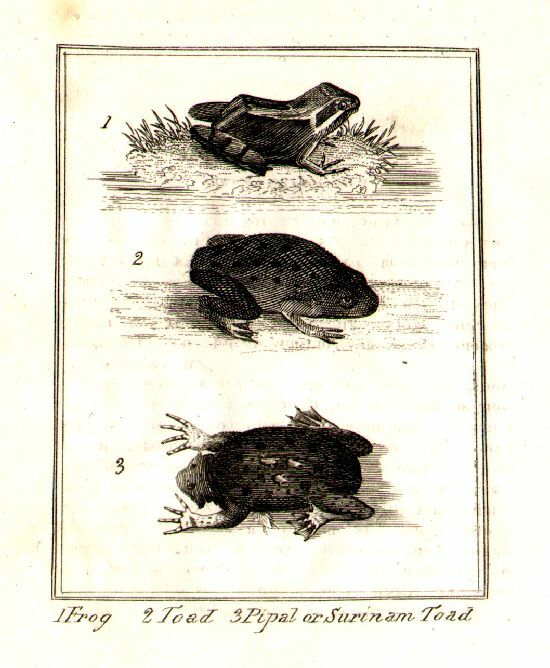 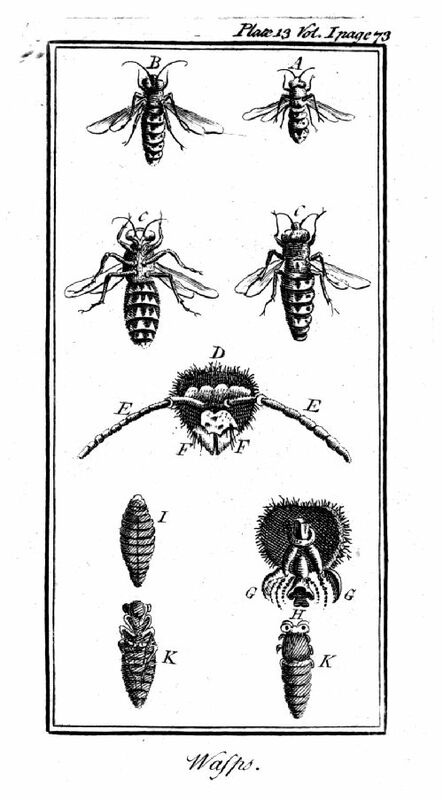 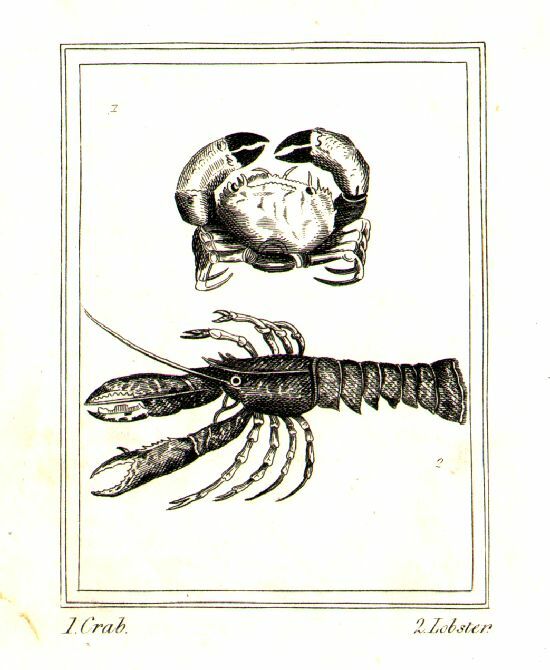 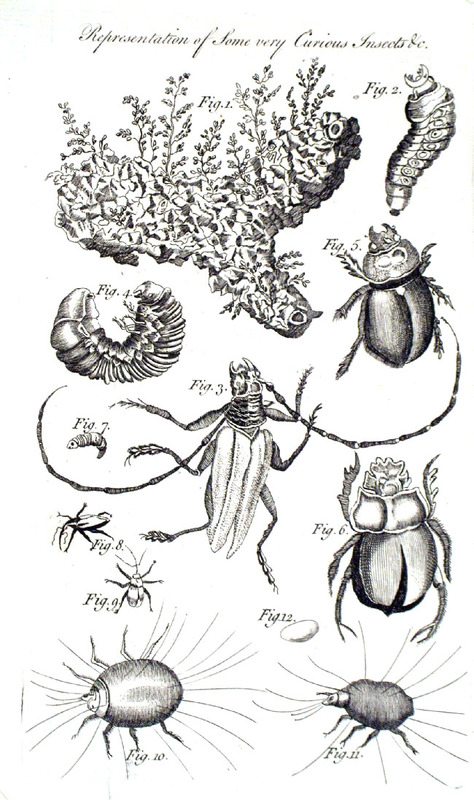 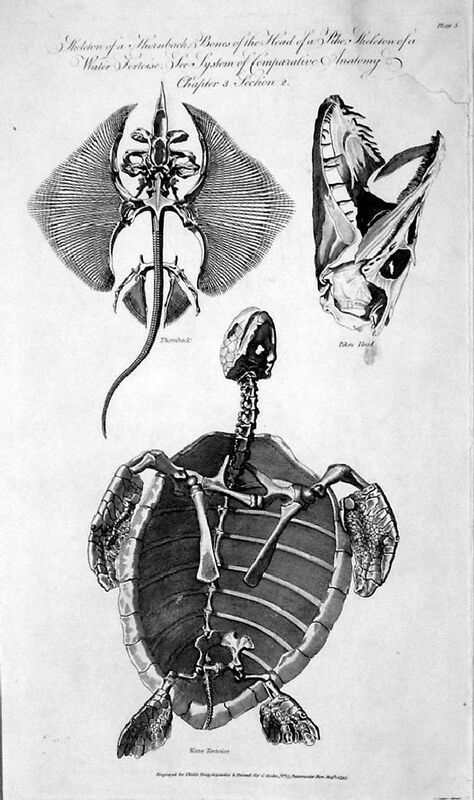 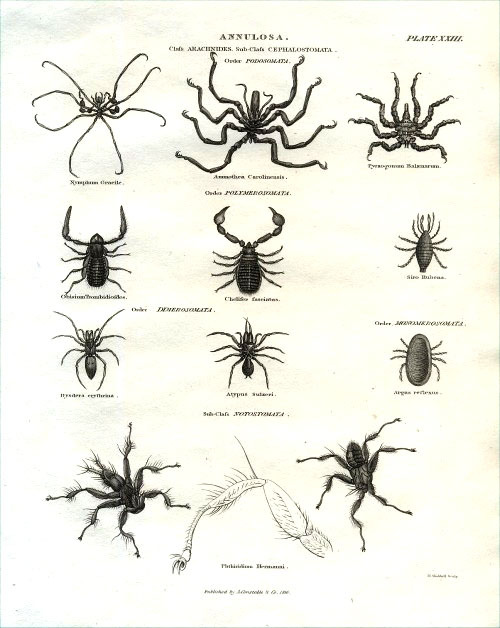 Royal Magazine 1760. 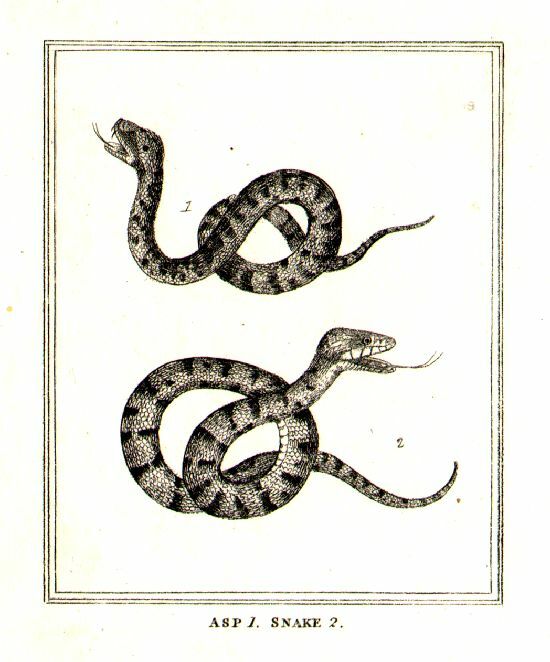 Copper Engraving. 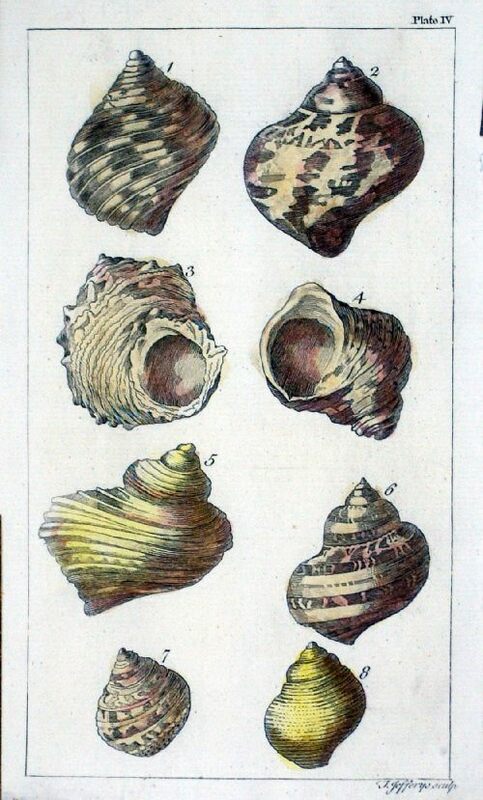 A few small stains and general handling discolouration. 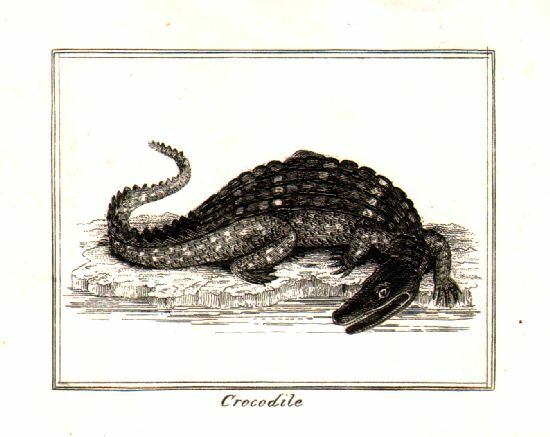 Constable 1816. 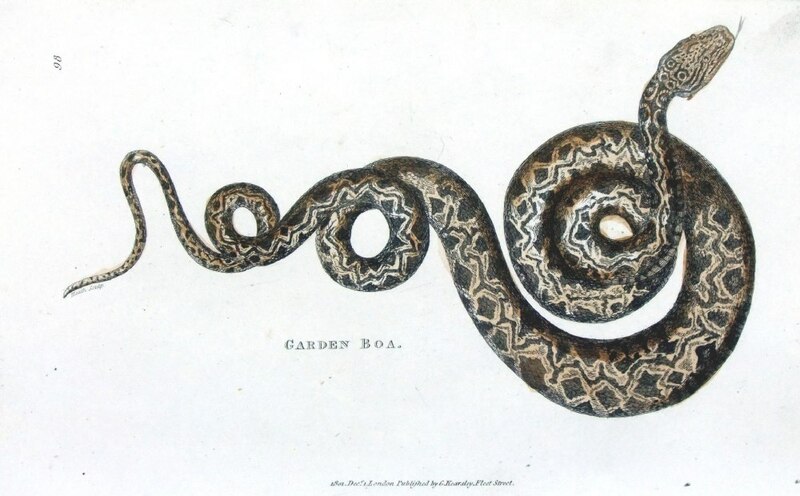 Copper Engraving. 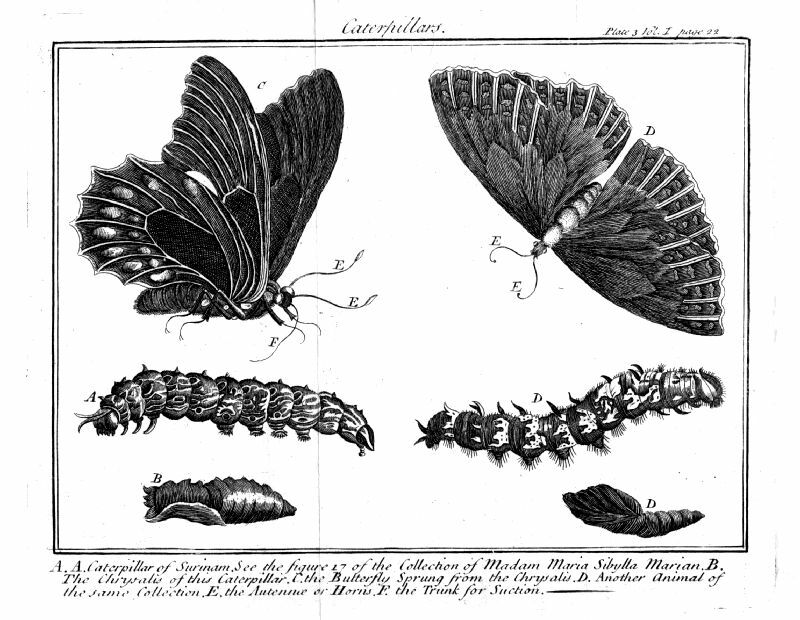 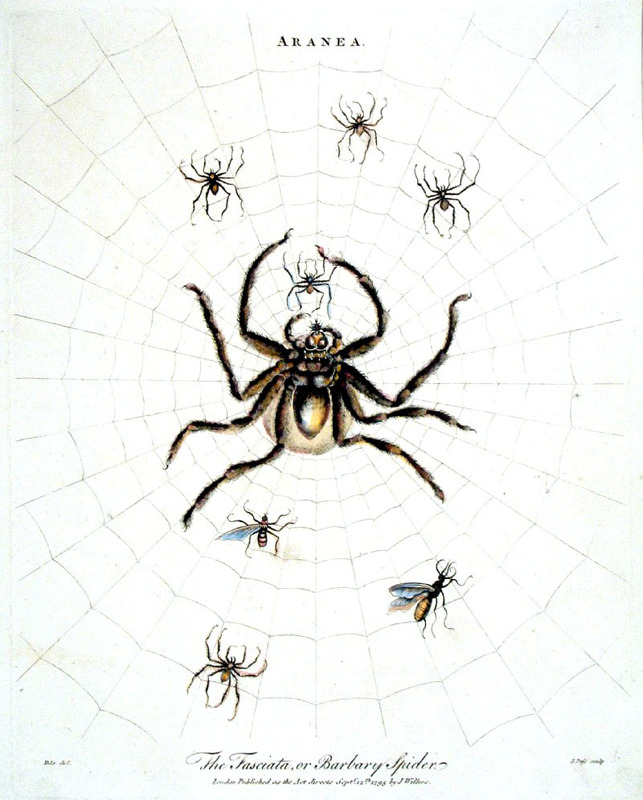 Tear at left of page.